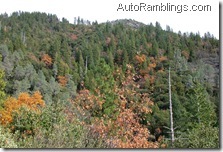 In the Fall season of 2006, I made three separate trips to Yosemite to explore areas both inside and outside the Park (see “In and around Yosemite” part 1 & 2). The final off road run in my three part journey would be The Old Coulterville Road which in part lies within the Yosemite Park boundary. 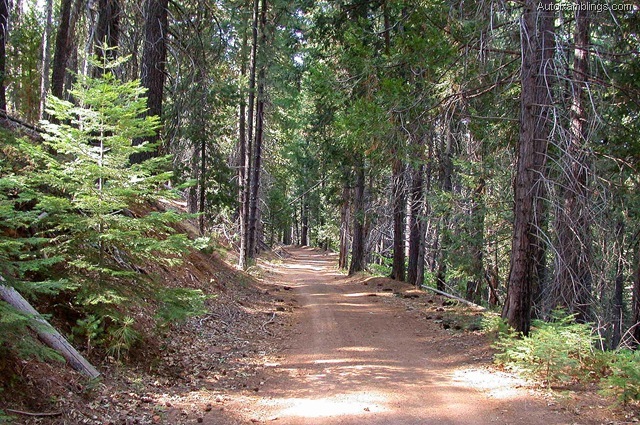 By today’s standards, the road would be considered an improve trail much like many forest service roads. 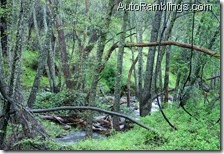 Once again I used the Backcountry Adventures publications as a guide but I’m also familiar with the region. The Northern California edition of the book describes the trail in detail along with other trails that intersect the Coulterville route. This post will key on the individual sections of the trail I took between October and November of 2006 and spring of 2007. Usually I was accompanied by friends during my journeys, but on a few occasions ran the route by myself to complete the trail as described in the book. 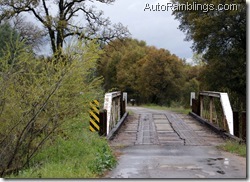 I have driven parts of the Old Coulterville Road over the years, even as far back as the late 70’s. Of all the times I’ve been on the trail, only once did I complete the entire run as described in Backcountry Adventures and that was in the 70’s with Jerry. I’ll go over the entire route as well as sections of other trails that lead to the town of Coulterville and below to highway 49. 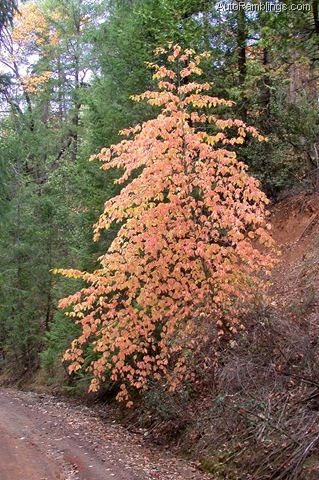 Most of the images were taken in the fall season of 2006 but the pictures of the lower foothills during springtime of 2007 will be obvious. I also might throw in some more recent shots of the area taken during various times of the year. Normally the grasses around Coulterville start turning brown after the month of May and by summer, the foothills are in a golden bone dry condition. 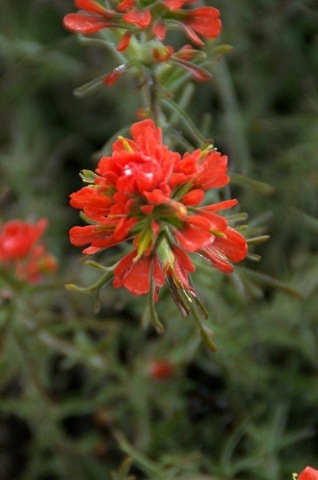 Things won’t change until the rains return and the weather cools, usually around December. 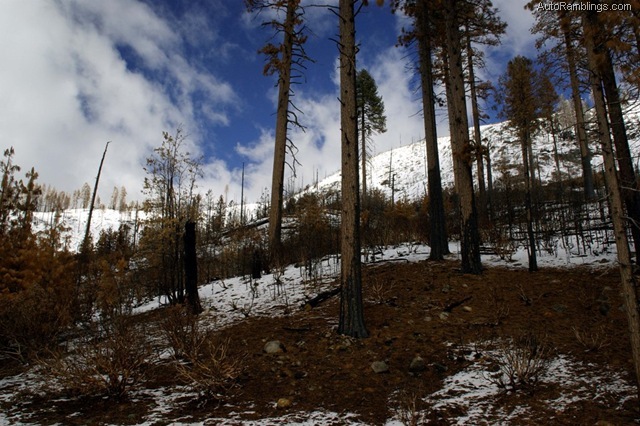 In my opinion, February through April is by far the most scenic time to visit the lower Sierra Nevada range. 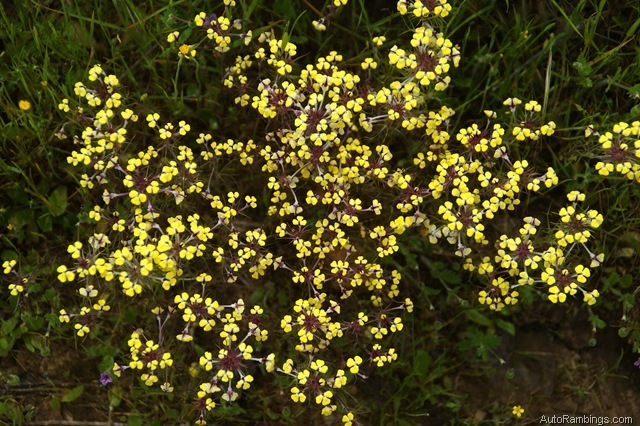 The foothills are generally a vivid green in color supplemented by the early flowers which can be striking. 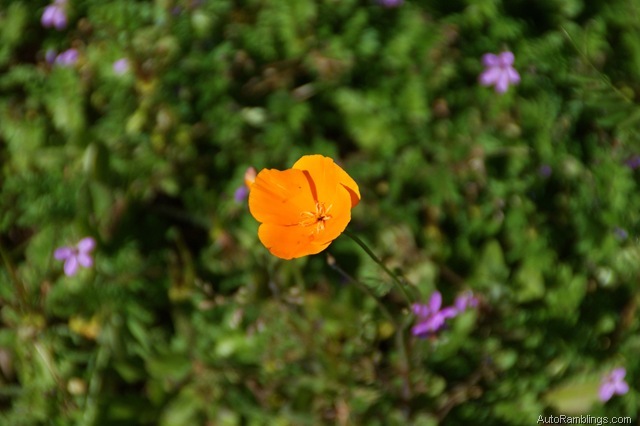 During typical years, March through May brings out many other flowers, especially the California poppy which in itself is worth a visit to see. 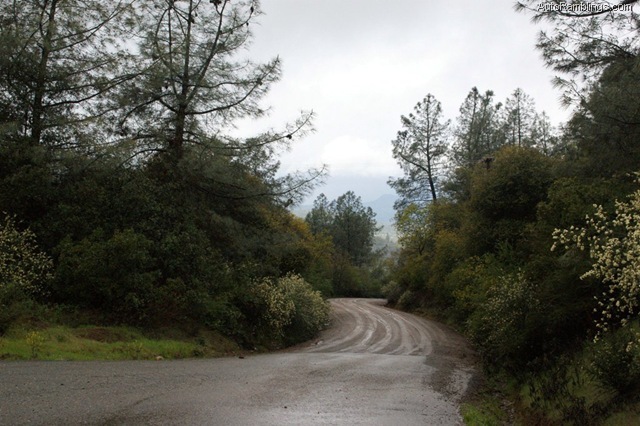 Unfortunately the Old Coulterville Trail is subject to a variety of weather conditions during spring and fall, so I strongly recommend inquiring about the status of the road before attempting to run it. 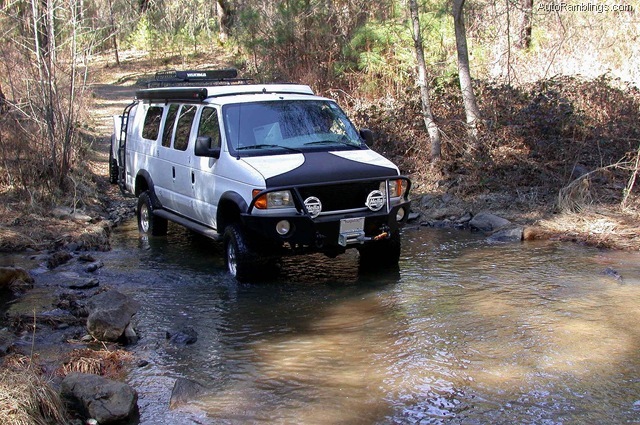 The trail may be impassable after heavy precipitation but light rain during the normally drier fall season does not generally pose too much of a problem for a 4×4 vehicle. 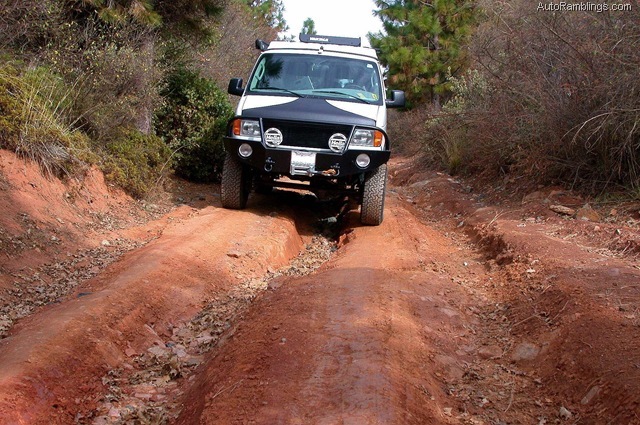 When dry, the trail should be passable with a two wheel drive vehicle although ruts may be difficult to negotiate if present. 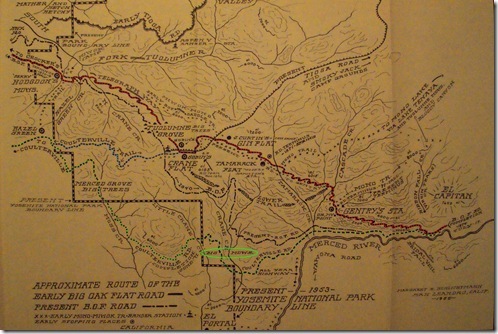 Here is a map taken from the book “Big Oak Flat Road To Yosemite”, a publication from 1955. The map is outdated and some of the routes either do not exist today or have been changed from the original paths, but it still gives you a good idea of how the roads entered Yosemite Valley. The majority of the Coulterville Road is not shown on the map. This is another link to the map that is worth looking at. If you zoom up on the image of the map you’ll see the Coulterville Road from the past. Today the road starts off in Foresta which is (circled in green in the above picture) and shown as Big Meadow. The route from Foresta to the Valley is no longer a vehicle path. You will also notice the “Coulterville trail” (in blue) that leads to Crane Flat. 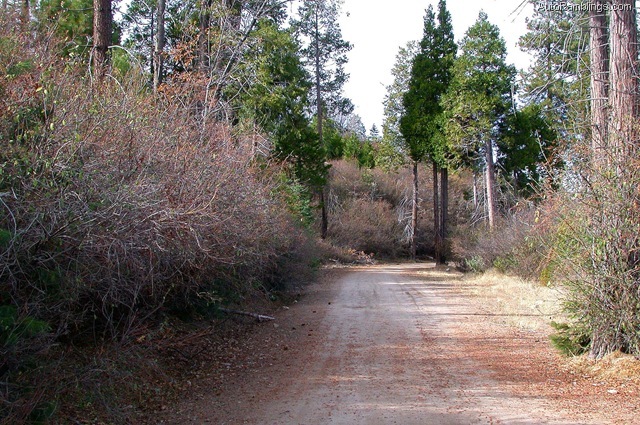 This section was considered part of the Coulterville “Free” trail which led to Gin Flat, then continued through Tamarack Flat and eventually past Gentry’s Cabin where the trail dropped quickly into Yosemite Valley. 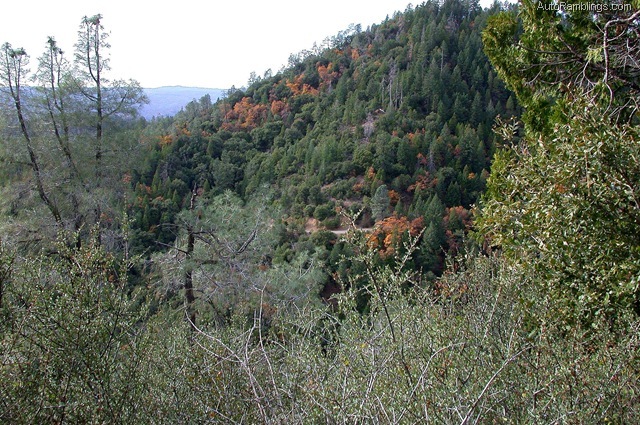 Even though the complete route from Hazel Green into the Valley was referred to The Coulterville Free Trail, the portion from Crane Flat from to the Valley floor was also called the Big Oak Flat Trail. 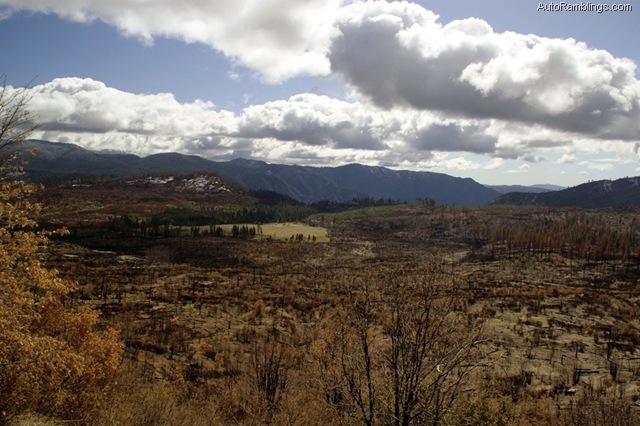 Today the section from the Hazel Green ranch to Crane Flat is no longer open to vehicle travel. 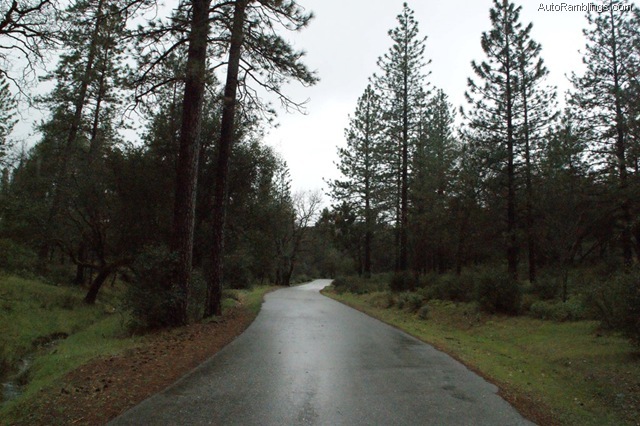 The map also shows the Coulterville Road passing through the Merced Grove of big trees, but this path has also been closed off by the Park Service and has been rerouted away from the Park boundary. 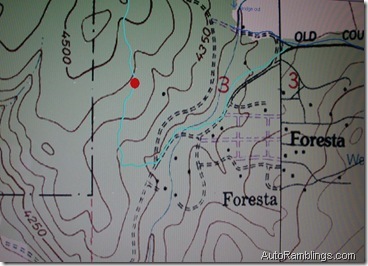 The original Big Oak Flat Road is shown in red in the picture. Again, the Park Service has closed off several sections of this road. 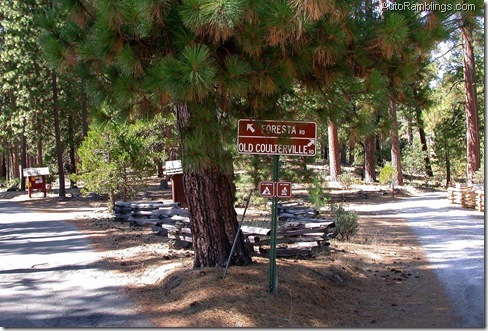 The narrow one-way paved path from Tioga Pass Road to Hodgdon’s Meadow was closed off a few years back which is unfortunate as it led through the Tuolumne Grove of Giant Sequoia’s. 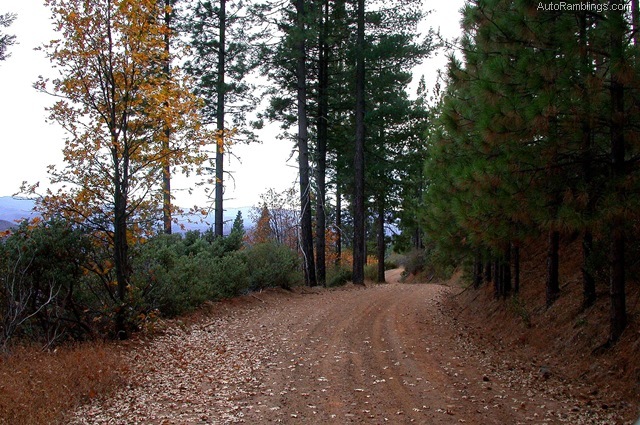 One part of the Big Oak Flat/Coulterville free trail that is open to vehicle travel can be taken from Gin Flat to Tamarack Flat campground. Beyond that the road has been closed off to foot travel only. The trail still leads to Yosemite Valley, just be prepared to drop several thousand feet to reach the valley floor. 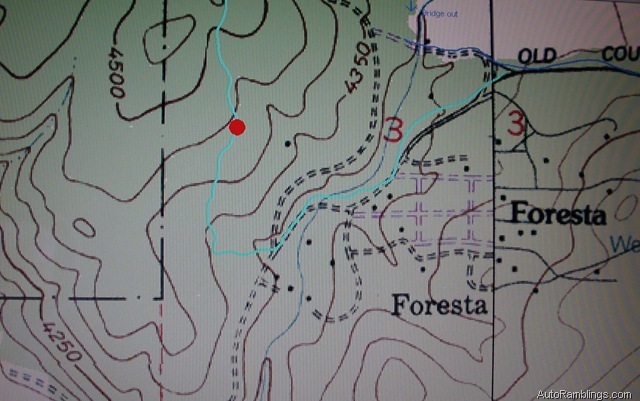 Lastly, I marked the New Big Oak Flat Road in red and although much of this route has been redirected in spots, it holds fairly close to its current day path. I often use the Coulterville route and those that connect to it as a way home when visiting Yosemite rather than taking the highway. The Yosemite region and the gold country have always fascinated me so I’ll throw in some basic history about the area. 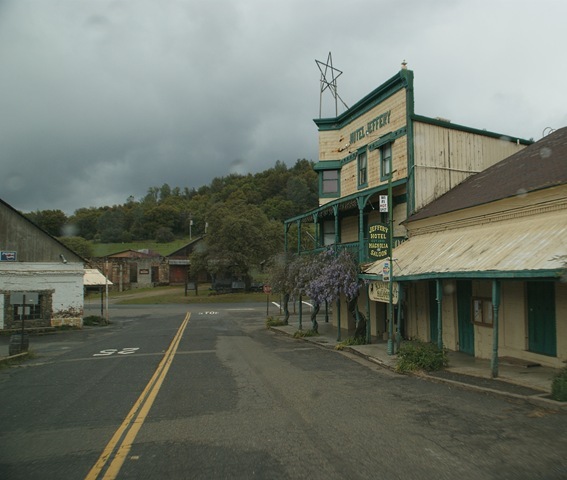 Located in mid-northern California, the town of Coulterville (originally known as Maxwell Creek) was one of many focal points along the 49er trail during 1849 gold rush era. Starting off as an area holding prospects of gold, a mere tent structured supply store was put into operation by George Coulter and George Maxwell in the early 1850’s. Soon after that, the town began to rapidly grow and by 1853 a post office was established. The town was eventually re-named Coulterville after resident George Coulter. During the gold rush, Coulterville sprung up to become one of the major cities in the region with a population of about four thousand people. At one time the surrounding region including the town was reported to support as many as up to 10,000 people, most of whom were in search of gold. But this census is unconfirmed as historical records seem to vary. 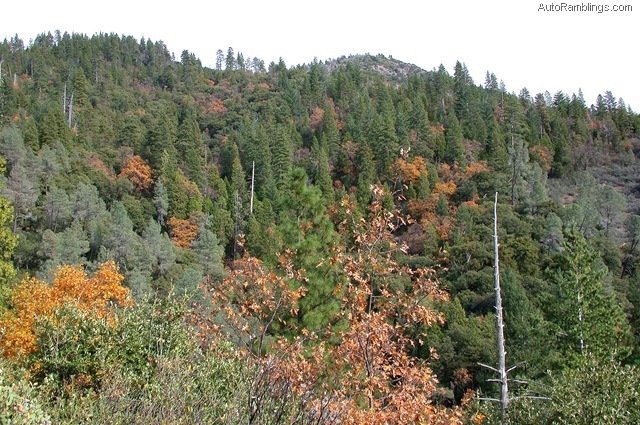 Coulterville is located at the intersection of state highways 132 and 49 below Yosemite National Park in the California’s Sierra Nevada foothills. Today it’s a historical gold rush town and has many structures still standing from its colorful past that date back into the 1800’s. Click on smaller images to enlarge. Yosemite Valley arguably holds some of the most striking and unique geological land formations in the world. In addition to its towering granite rock walls, the numerous waterfalls throughout the Valley make it a exceptional place to visit. Although El Capitan shown here on the left is considered the king of rock formations in the Valley, it’s Half Dome pictured in the center of the image that really says Yosemite. But that’s my opinion and your views might vary. Prior to 1833, trails into this amazing Valley were mainly the foot trails of the Miwok and Paiute tribes. Residents of the valley around that time were Paiute Indians of the Mono Tribe. 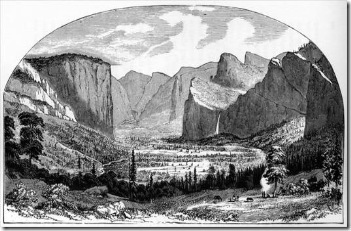 It’s probably unknown who the first white man was to gaze upon Yosemite Valley, but some historical records (debatably) point to a specific group of explorers that were thought to have discover the valley. It’s interesting that Half Dome itself is highly visible during times of clear weather from California’s great central valley, especially from the Turlock region and west into the coastal mountain range. The picture below was taken on a fairly hazy day from Turlock and although it’s somewhat difficult to see, it shows Half Dome in the center of the image just right of the electrical tower. The Sierra Nevada range is spectacular from many vantage points, but from Turlock, Half Dome’s distinctive silhouette makes itself known to onlookers as compared to the rest of the surrounding mountains especially on a clear day. 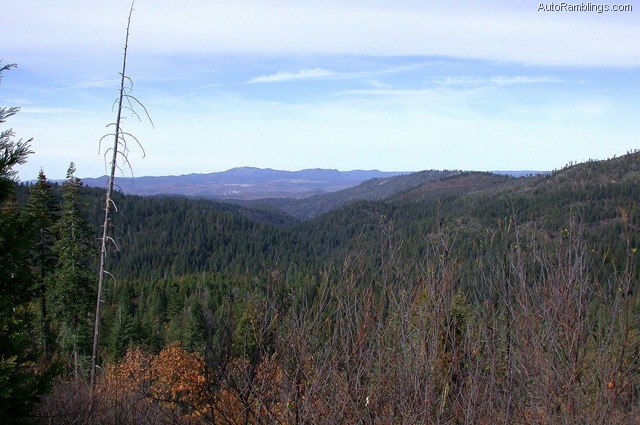 Explorers combing the eastern sections of the coastal range mountains and the central valley in the latter 1700’s must have wondered about that particular area of the mountain range. But the strip that the monolith is visible from the San Joaquin Valley floor is somewhat small and lower on the horizon compared to the mountain range behind it, so I can see how it might have been overlooked. Yet even as the population of California grew, Yosemite Valley would stay elusive for many years, and for the most part someone would have to stumble upon it or be told that such a place existed by talking to the local native inhabitants. 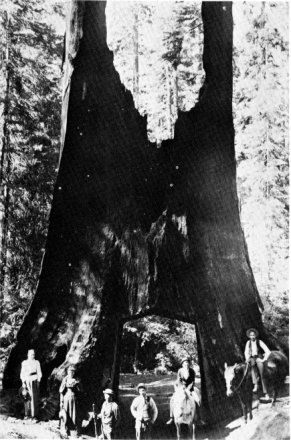 In 1833, an exploration group (of white men) known as the Walker Party reported discovery of a unique grove of giant trees and a deep valley of interest which unknown to them may have been Yosemite Valley. There is some historical discrepancy about the discovery of the valley itself, but it’s safe to say the party was looking into the Merced River Canyon close to Yosemite Valley if not the Valley itself. Some of the exploring members kept detailed records of the journey in which one of the men wrote: “We traveled a few miles every day, still on top of the mountain, and our course continually obstructed with snow, hills, and rocks. Here we began to encounter in our path many small streams which would shoot out from under these high snow-banks, and after running a short distance in deep chasms which they have through the ages cut in the rocks, precipitate themselves from one lofty precipice to another, until they are exhausted in rain below. Some of these precipices appeared to us to be more than a mile high. Some of the men thought that if we could succeed in descending one of these precipices to the bottom we might thus work our way into the valley below, but on making several attempts we found it utterly impossible for a man to descend, to say nothing of our horses.” It’s thought that the trail they were basing off of was the “Mono Trail”, an Indian route that had many sub-trails including sections that led to the higher country that the Walker Party was exploring. But the Walker Party would not be credited with the discovery of Yosemite and it would be several years before white men would enter the Valley for the first time. 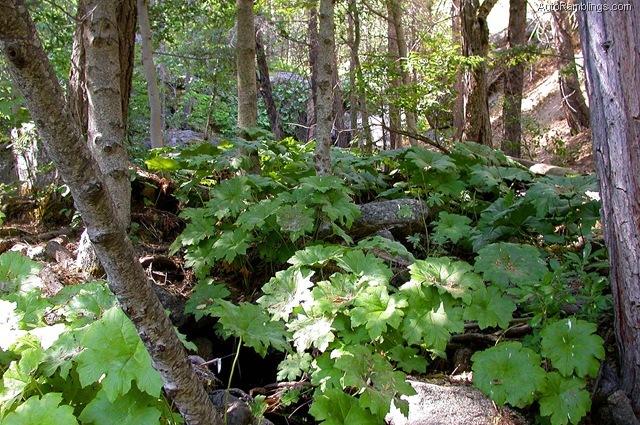 The Mono trail was annually used by the Miwok tribe in part to trade black acorns with Mono Lake Paiute tribe on the opposite side of the Sierra Nevada’s for obsidian (primarily used as arrowhead weaponry), salt, and various foods not available to the Miwok’s. The local indigenous tribe of Paiute Indians that occupied Yosemite Valley called it Awooni or Owwoni [Ahwahnee] and referred to themselves as the Ah-wah-ne-chee [Ahwaneechee or Awahnichi], which meant the people of the Awooni. According to history records, Awooni basically translates to mouth…wide or gaping mouth, possibly referring to the perception of the valley’s walls. 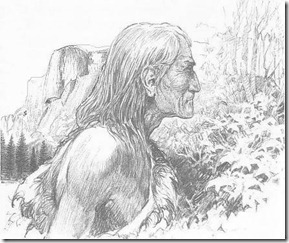 Older historical records also suggest the neighboring Miwok’s feared the Paiute’s that occupied the valley and referred to the Ah-wan-ne-chee as the yošé-met^i, a Miwok Indian word thought to have meant “killers” or “they are killers”. 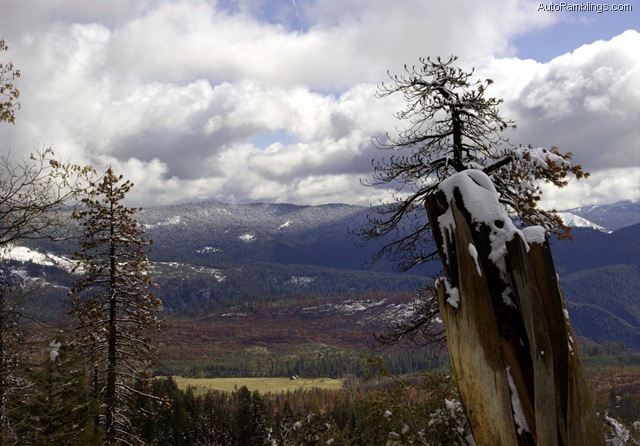 Other thoughts or theories relate the word Yosemite to the Grizzlies that occupied the region. There is also some record of the Awooni chief having an encounter with a Grizzly during his youth where he came away the winner and the tribe pinned the name of Yosemite to him and the tribe. It’s uncertain if this is correct but does have a degree of possibility to it. Some of this (which is also discussed below) likens a sports team taking a feared name for their organization. 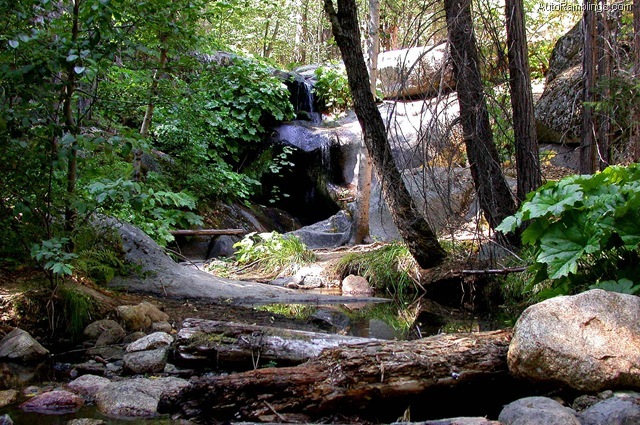 After the 1848 discovery of gold in California, people began to swarm over the area and by 1849 several new trails throughout the region were being created. But it wouldn’t be until 1851 that the Yosemite Valley would be confirmed as a discovery by white men when Major James Savage and a compliment of men of the Mariposa Battalion set out to run down a specific group of hostile Indians who were creating havoc in the region. Jim Savage was a miner and local Indian trader who had several trading posts raided over the years and was commissioned as a Major to form a local militia to deal with the Indians. The battalion set out to suppress the Indian’s Chief, (named Tenaya) or [Ten-ie-ya], and capture the tribe which was known to the battalion as “the Yo-sem-i-ty”. 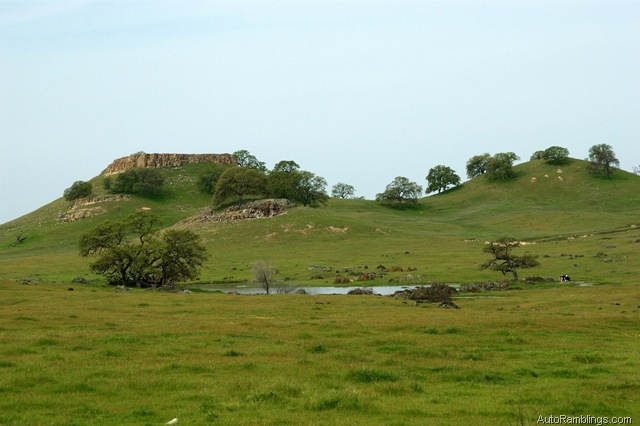 Tenaya and his band of Indians along with a few other neighboring tribes had killed several individuals at Savage’s trading post as well as molesting miners in the general area and their actions would not be tolerated. 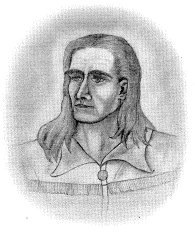 An attempt was made for a treaty between the government and the Indians when word was sent by a messenger to have the tribe return and submit to the Battalion and the Indian agent in charge, but that fell apart. 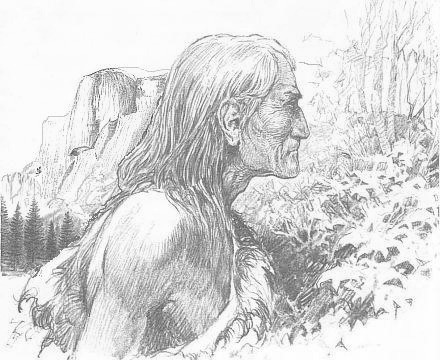 The Indians felt that the soldiers would never find them in their hidden magic valley and few returned. On March 23rd 1851, Chief Tenaya came into camp and guided the soldiers to his band of Indians. Unfortunately it was only a small portion of the tribe and the Battalion knew it. Discussed, Savage moved in to carry out his mission. That stupendous cliff is now known as “El Capitan” (the Captain), and the plateau from which we had our first view of the valley, as Mount Beatitude. Dr. Bunnell felt proper to name the unique valley “Yo-sem-i-ty” after the Indians they had evicted from their long established homeland. After being contained, Chief Tenaya was unable to thoroughly communicate the true meaning of the word yošé-met^i (perhaps his own game of confusion with the soldiers) so both Savage and Bunnell thought it referred to a grizzly bear which may have been true. The fact that Savage thought Tenaya’s translation of Awooni to mean “grassy valley” (which was incorrect) added suspect to what the Indians were conveying to them. As mentioned earlier in the article, the word yošé-met^I probably had multiple meanings. So Yo Semity would be it and the name would stick. From that point on, the Indians were to be kept in check and most were sent to a reservation on the Fresno. Although a few skirmishes broke out in where some escaped (including Tenaya), most were rounded up again and sent back to the reservation. In 1852 a group of regular army soldiers from Fort Miller were sent in to finish the job of rounding up the rest and put an end to the hostility. It was a slightly more bloody campaign but mild compared to others of the mid-west. Tenaya fled back to the Mono tribe where (it is thought) he would remain for the rest of his life. The Army completed its mission in controlling the Indians and stabilizing the region. 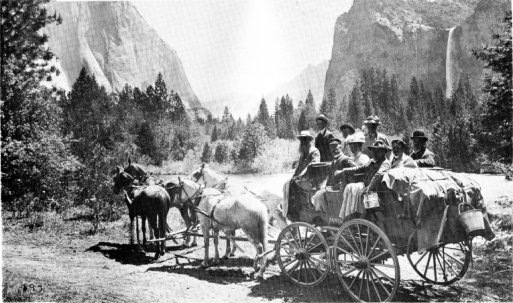 With the major threat of Indian raids gone, Yosemite Valley was now opened up to travelers and tourists but passage was still a grueling adventure. Many spellings and pronunciations of the newly found valley name were came forth including Yo Hemite and Yo Semite, the latter name being used into the early 20th century which is the root of the current name “Yosemite”. 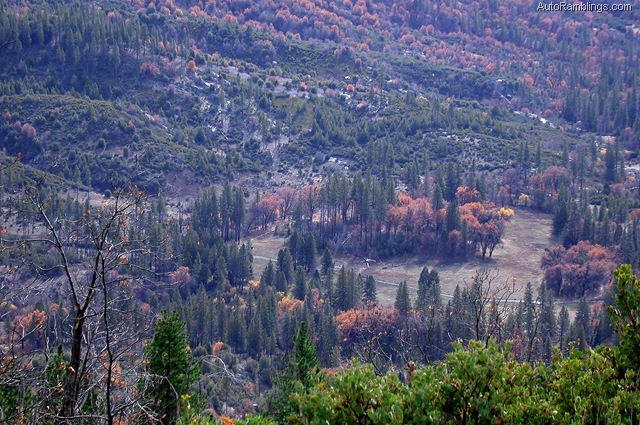 It is somewhat amazing that during the late 1840’s and early 1850’s this spectacular valley was able to stay elusive to the swarms of gold seekers that occupied the lower elevations only miles away, but during those years most of the local residents either didn’t believe the stories of the Yosemite’s valley, or they were afraid of the Indians themselves. 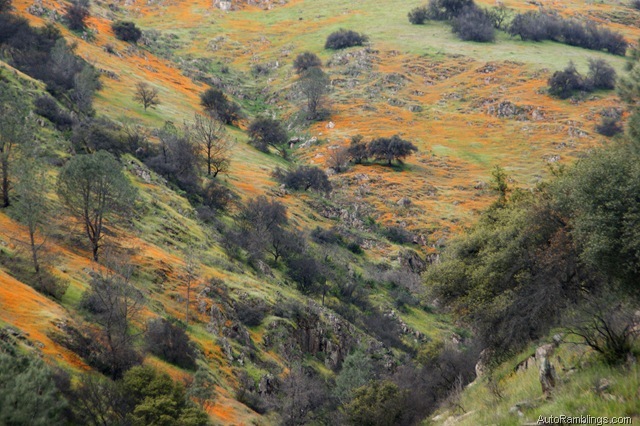 Descriptions of the grandeur of the valley were easily dismissed as pure myth by those outside California. For the locals, the fact remained that the journey into the area was very difficult and being there was no speculation of gold in that particular area, the trip wasn’t worth it in the opinion of most. But this would soon change as more people began to explore and started to bring back tall tales from the region, especially when somebody way trying to explain what they had seen. Even the Big Trees that reside outside the Valley were said to be completely and totally unbelievable. By 1855, travelers began to enter the valley. 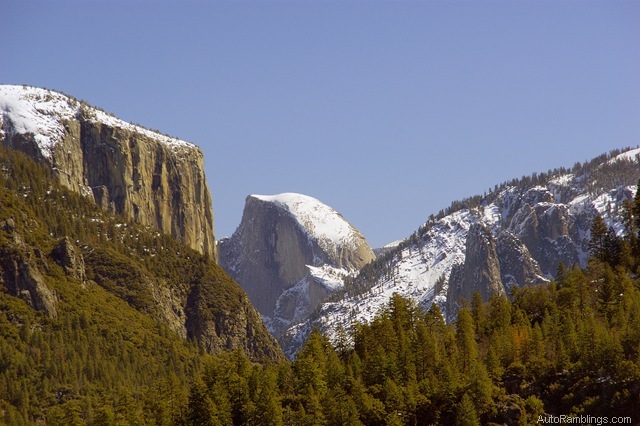 James Hutchings and Thomas Ayres were some of the first tourist who began to exploit Yosemite. 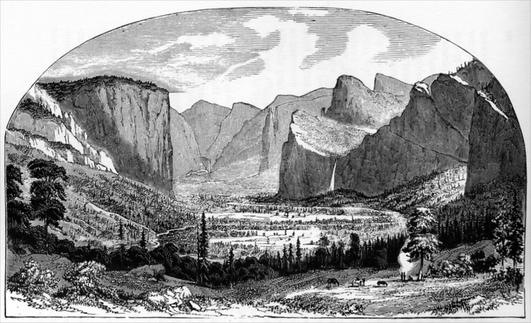 In 1859 the first sketches and photographs were taken of the valley floor and between these photographs and Hutching publication of “Hutchings’ Illustrated California Magazine ”, the myth of Yosemite Valley had been laid to rest. The word soon began to spread. 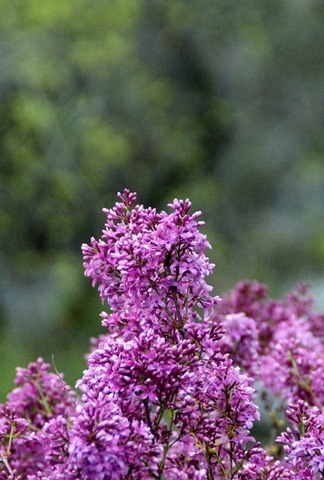 By the early 1860’s the buzz about this natural wonder was well known by many on the east coast. By 1864, Abraham Lincoln had enacted the Yosemite Grant, deeming Yosemite to be the first public protected land in America. For naturalists, the golden treasure of Yosemite wasn’t something you dig from the ground rather the beauty of the valley itself, but for the entrepreneur, tourism was the gold mine. The peak of the California gold rush was relatively short, lasting slightly over 4 years between 1849 and 1853. 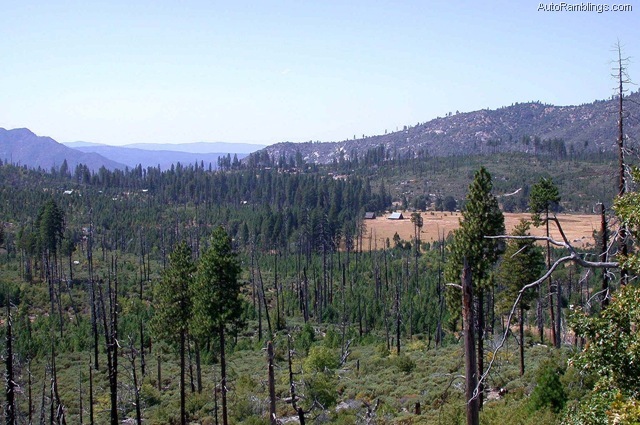 Uncountable numbers of gold miners flooded into the lower foothills in the Mariposa and Tuolumne counties that bordered the future Yosemite National Park. 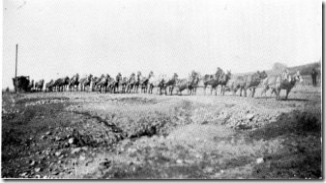 During that time a few of the major trails were improved for freight rigs to bring in supplies that the miners and larger settlements needed. For the freighters it was a profitable time in history. After the gold era dwindled (around 1858), many freight companies flat went out of business as most of the boomtowns and mining camps began to diminish. 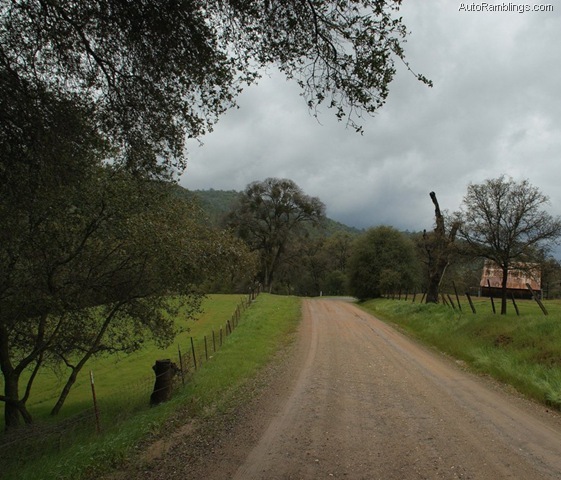 But the town of Groveland, (originally named First and Second Garrote) who sponsored and already built an early section of the Big Oak Flat Road, saw the advantage of toll passage and tourist travel into Yosemite. The park was fast becoming a famous western destination to visit and in fact was becoming known world wide. A reasonably smooth thoroughfare was needed to reach the park and it was thought whoever built it would surely profit, including the communities it passed through as well as any hotel or stage stop along the way. 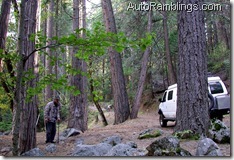 The fact was, without a good road, traveling to Yosemite over the poorly maintained trails was difficult. A trip to Yosemite was slowly becoming known as an arduous journey which needed to be well thought out before attempting. Some publications in print did not glorify the adventure at all. Does it pay to visit Yo Semite? 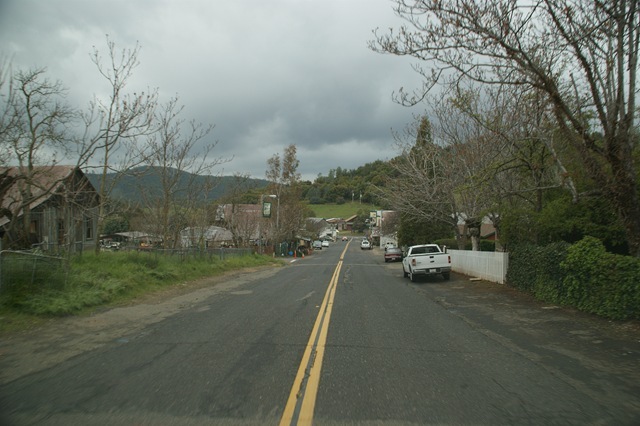 The journey to the lower foothills (generally from Stockton) was bad enough but the last section was almost considered unbearable by those not accustom to mountain travel. This wasn’t a good selling point to bring in tourists. 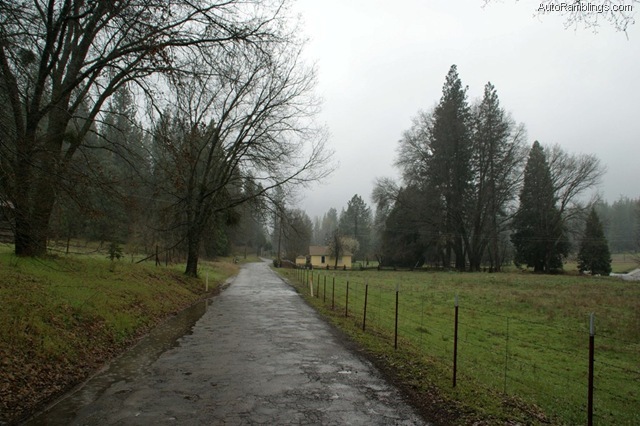 The main trail into the Valley was in part a section of the “Coulterville Free trail” which could be accessed from either Coulterville or the more popular route through Groveland. 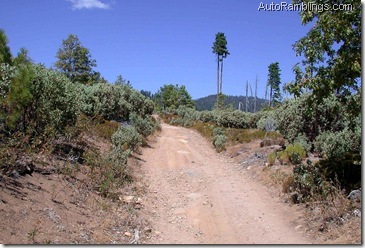 A road to allow wagons, stages, and buggies would be a prosperous venture for any business along the route. Hotel owner J.M. 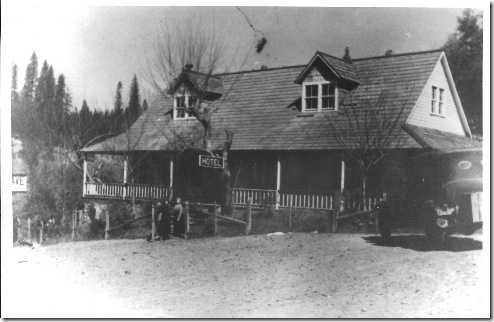 Hutchings of the Yosemite region proceeded to persuade several communities to fund a project of building the first road into the Park. 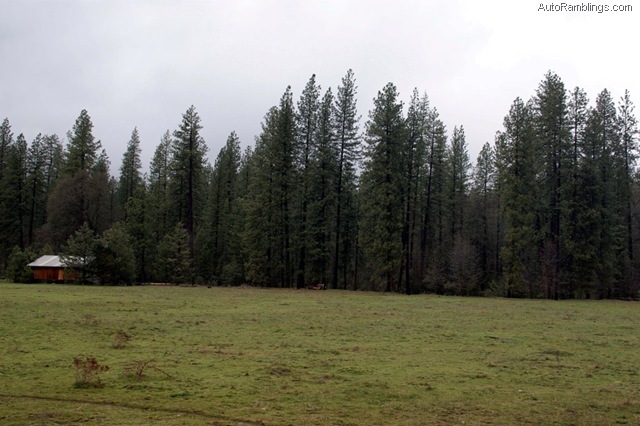 At first only the residents of Chinese Camp and Groveland within Tuolumne County were interested. 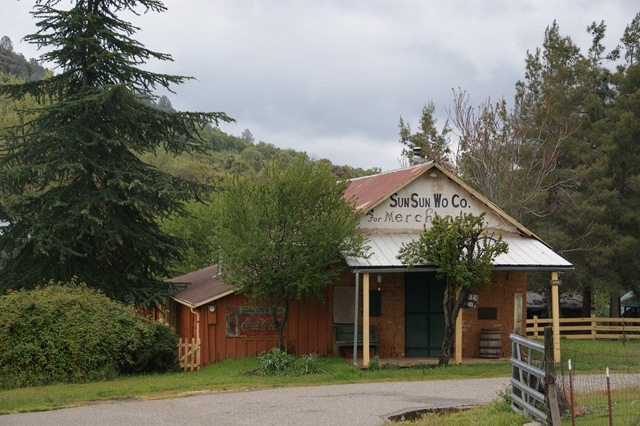 The Tuolumne County group formed the "Chinese Camp and Yo Semite Turnpike Company" and for whatever reason elected George Coulter as president. 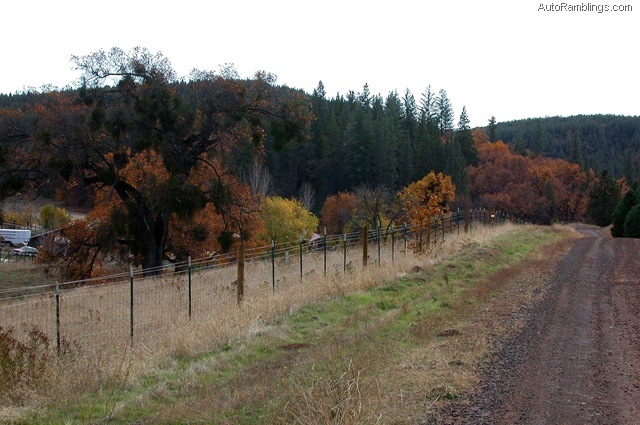 The company organized in September of 1868 and began to build a road that was based off the older Big Oak Flat Trail that lead through the community of Groveland and connected to the Coulterville Free trail at Crane Flat. Coulter and the surrounding community of Coulterville had pioneered the construction of the Coulterville Free trail several years prior and this may have been why he was elected as president. 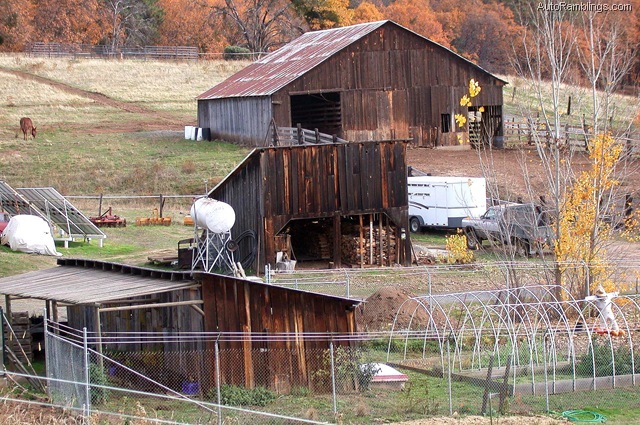 Within a month of the companies conception, it was reorganized and a new president was elected leaving Coulter and those of his Mariposa County community out of the picture. With the anticipated completion of the Transcontinental Railroad in 1869, tourist travel had to be taken into consideration. 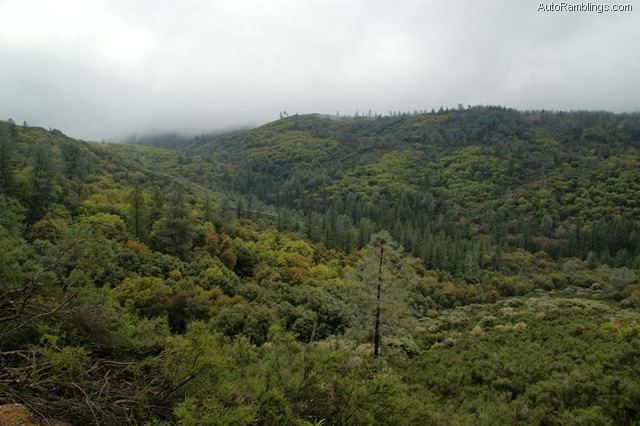 On February 20th of 1869 the Yosemite commission gave the the Tuolumne County group the go ahead to start the Big Oak Flat Road which was to be completed by July 1st 1871. 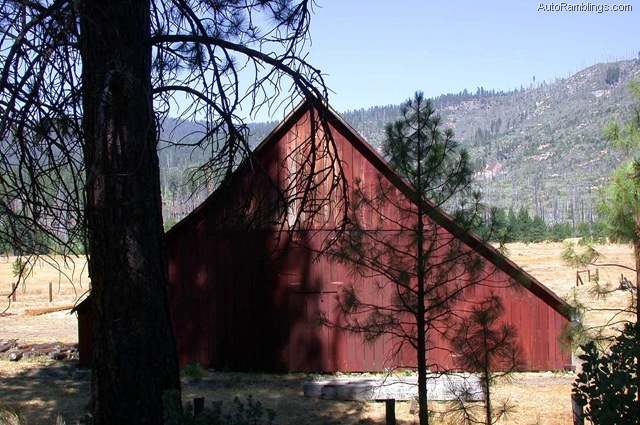 The Chinese Camp and Yo Semite Turnpike Company was granted full rights to build a toll road as the primary entrance into the Valley. The town of Coulterville was now fully aware of possible loss of tourism coming through their community and looked into starting their own road. 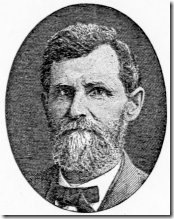 Dr. John T. McLean, headed up the Coulterville and Yosemite Turnpike Company as president and the Mariposa county based company began to build their own road. The race was now on. 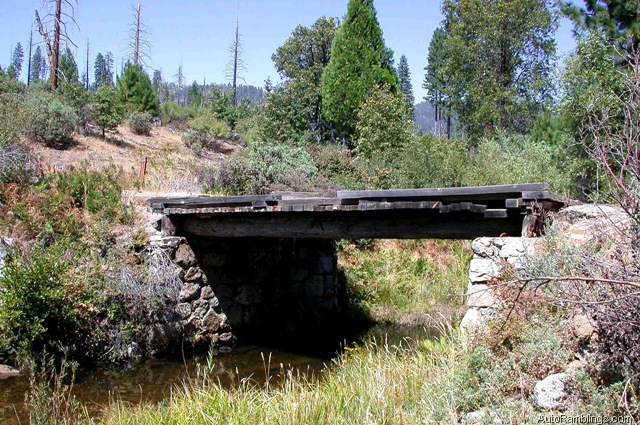 The Tuolumne County group had already built a partial road from Groveland to Harden Flat and was desperately attempting to meet the deadline of building the last stages of the road into the Park. 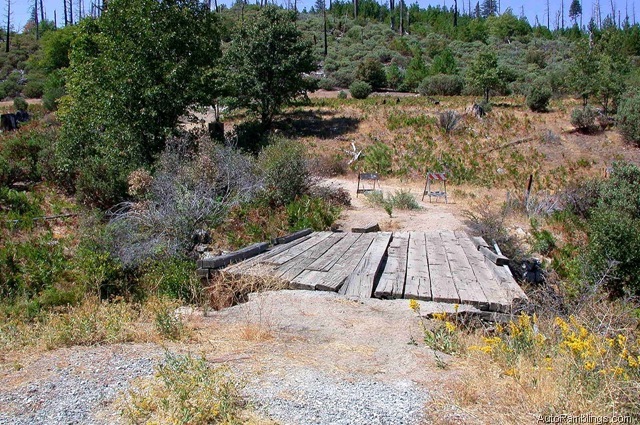 By July of 1871 the Tuolumne County group had successfully built their road to Gentry’s cabin, yet three miles of trail (by far the most difficult section) to the Valley floor had not been finished. Unfortunately, time and funds ran out, but more importantly the Tuolumne County group failed to renew their contract. The company was happy to run the toll road as it was even though it was unfinished. The Big Oak Flat toll road brought wagons and buggies to Gentry’s where individuals could mount horses and enter the valley via the existing trail. But the town of Coulterville still continued to push on with their project. During the Coulterville road construction, several changes were made, one being a route through the Merced Grove of giant sequoia trees. 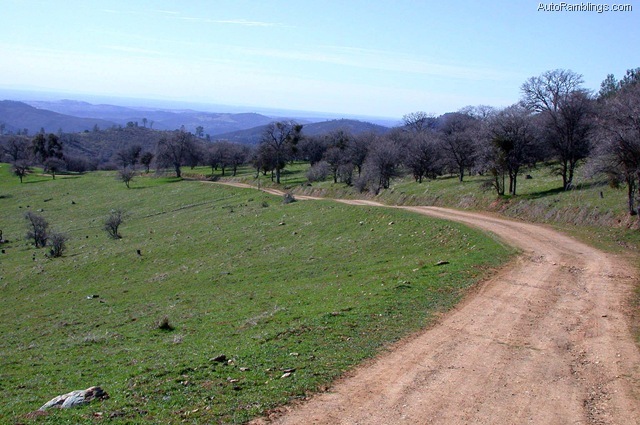 Originally the Coulterville Road was to intersect with the Big Oak Flat road and share the last stages of the route through Gentry’s into the Valley. But Coulterville planned to have their own private toll road into the Valley. 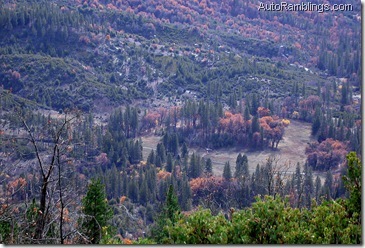 The rerouted Coulterville road was to run a parallel path to the Big Oak Flat Road at a somewhat lower altitude traveling through Big Meadow where it would pass the Cascades (Cascade Creek), eventually linking up at the Merced River. 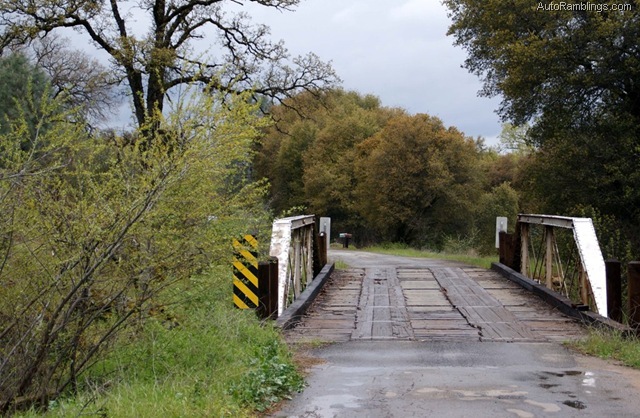 Now that the Tuolumne County group had failed on its contract, the Coulterville and Yosemite Turnpike company was in a good position. 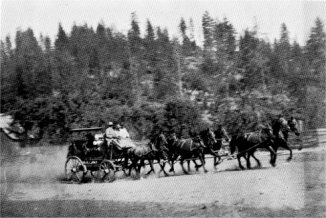 In July of 1872 the Coulterville group of Mariposa County was granted sole rights by the Yosemite Valley Commission to finish their toll road into Yosemite Valley. 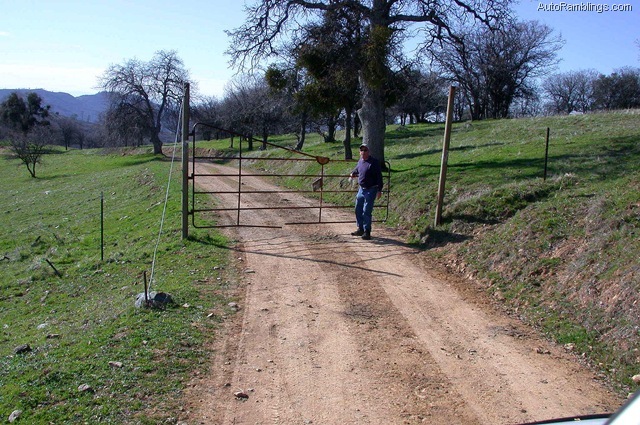 This would be short lived when permission was granted to the Tuolumne County group to finish their road as a saddle trail. For some reason this “saddle trail” was constructed conspicuously wide, uncommonly smooth, and built for free flowing traffic as if it was some kind of a wagon road. Despite the cry of foul from the Coulterville group, the race was back on. Nevertheless the Coulterville Road reached the valley floor one month earlier than the Big Oak Flat Road in June of 1874, and it immediately became a profitable toll road. The route was choked with all forms of transportation including stages, carriages, and individuals on horseback. Even hikers were known to travel the road. 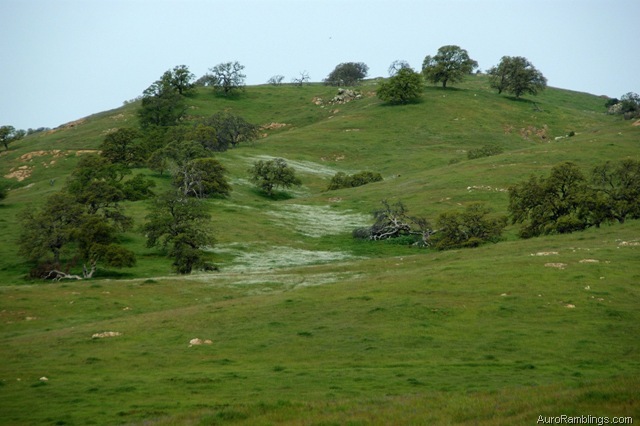 Although both the Big Oak Flat and Coulterville thoroughfares were toll roads during parts of their histories, there were ways to avoid the fees by using parts of the original Coulterville Free Trail and others that existed in the region. Avoiding adversities along the road always added a reason to take one route over another, but cash was cash, so many teamsters attempted to dodge the tolls and took risks driving on alternate trails to avoid fees. Yet as far as visitors were concerned, the typical tourist wanted the most palatable ride affordable. Overall, most people were willing to pay the charge, especially if they thought they were traveling the better path into the Park. 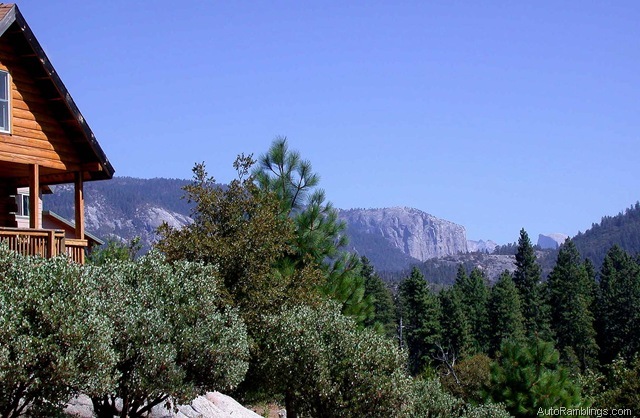 Newcomers to the region might be persuaded to take one route over another if there to see something uncommon such as what they expecting to see in Yosemite. Many tourist expeditions into Yosemite were set up through some sort of travel agent or company, and generally the tolls were included in the total payment. Distinctive natural oddities such as the giant Sequoias may have persuaded travelers to choose one route over the other. Each wagon road wandered through a grove of trees that were basically incomprehensible to imagine unless standing there and looking at them. 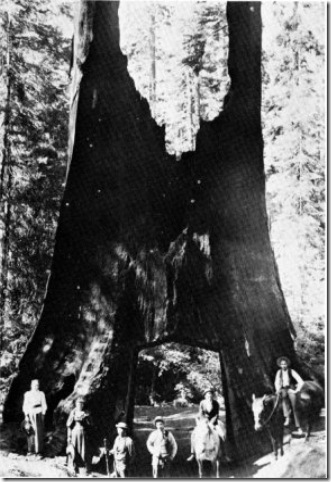 In the early years when visitors had to travel over rough trails, peculiarities such as the giant big trees were fascinating to the public on the way in, but after seeing Yosemite, the towering giant trees became much less of an attraction on the way out. But with a modern carriage road available that supplied a bit of comfort, unique features were one more reason to pick one road over the other. Many visitors took one route in and the other path out. Another such rarity along the Coulterville road was a unique spot known for centuries by the Miwok Indians. Referred to as “Oo-tin” by the Miwok people, this natural cave was rediscovered by white men in the mid 1800’s and was named Marble Springs Cave by the locals. It was truly a source of wonder to those who encountered it. Basically, the so called cave was a large hole in the earth that had two or three extremely large maple trees protruding out of it. Early explorers lowered ropes into the crevasse and found a cavern full of limestone pillars as well as a beautiful pool of deep water below. The cave was soon renamed Bower Cave and outfitted with a stairwell. Unlike many caves, light was able to enter from the large opening which kept the cavern illuminated. It became a premium resting spot for weary travelers and offered cool temperatures among the moss covered rocks far below. It was a fascinating cavern and surely became one of the gems of the Coulterville Road. At one point in time Bower Cave became a social meeting spot for the locals who built a dance hall within the cave which transformed it into a natural ball room that was said to have “perfect acoustics”. A hotel was erected in the latter 1800’s to become a first rate stop for travelers for years to come. With the completion of the Transcontinental Railroad in 1869, a new era had opened up to travel. The railroad from Sacramento to the San Joaquin Valley became the primary route to trailheads and it was now feasible for east coast travelers to visit Yosemite. 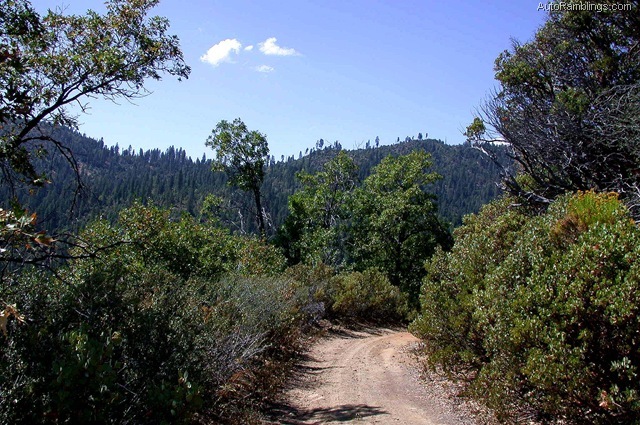 Even though the Coulterville Road received its fair share of notoriety, the Big Oak Flat Road became a preferred route into Yosemite. 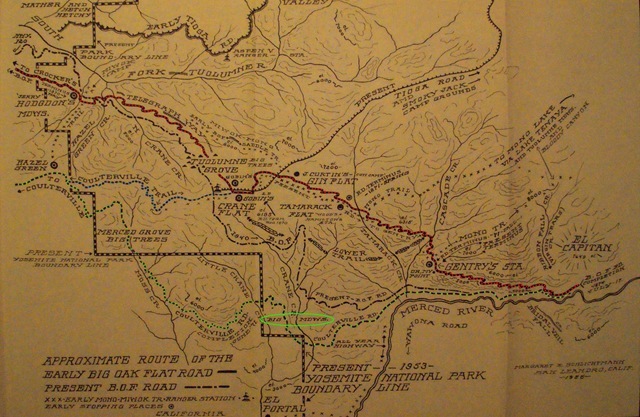 Competition was also increased when the Mariposa Road was completed to the valley floor in 1875. The Coulterville Road Company was expecting to operate the only northern entrance into the region but with a parallel road in use, reduction in the numbers of those using the Coulterville Road Company hindered their payback of the construction costs. Although the Big Oak Flat Road suffered as well, it still remained a primary path to the Valley. Much of this probably lies in the fact that many of the early miners entered the area via San Francisco and the Stockton Delta. In the earlier days of the gold rush these routes were well known and well used. As touched on earlier, although the Coulterville road had a colorful history, the tolls never really paid off the debt owed by the Coulterville and Yosemite Turnpike Company. In fact by 1900 not even half of the construction cost had been met. Even though the road supplied the necessary traffic to support the businesses along the route, the Coulterville road company never made the profits it intended on making. Several events led to the companies abandonment of the road. When Yosemite became a national park, the park service agreed to maintain a portion of the roadway provided the toll was dropped. 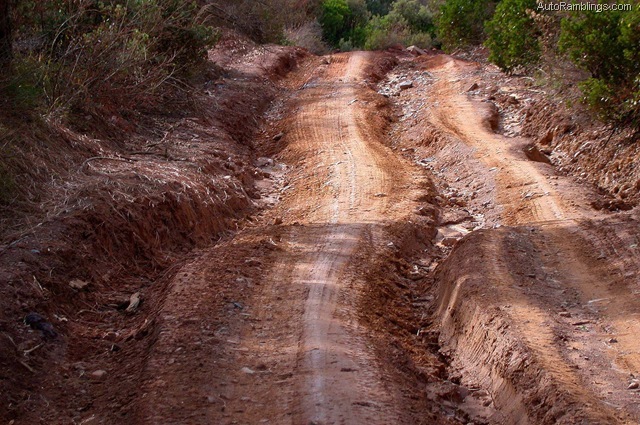 Because the company refused the offer, it wasn’t long before the road was subject to substandard maintenance which led to deterioration of the trail. 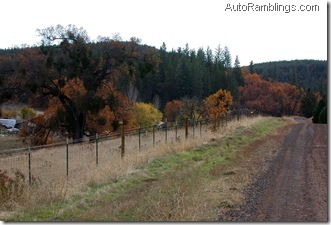 By 1911 the Coulterville road was slowly being taken over by Mariposa County. Another factor that led to the end of toll roads into Yosemite was the building of the Yosemite Valley Railroad that linked Merced to the settlement of El Portal which is located at the edge of the Parks boundary. After the Railroad was built, it wouldn’t be until the early years of the automobile before any roadways would become popular. 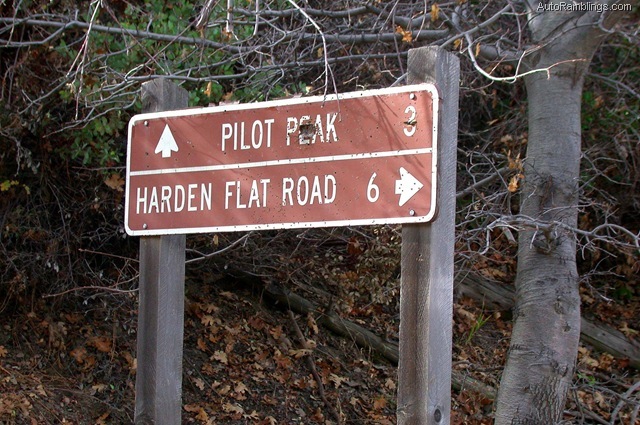 Unfortunately the days of tolls were long gone and the Big Oak Flat Road was re-established as one of the primary routes into the Yosemite Valley. After the construction of the El Portal vehicle roadway in 1926, the Coulterville route would never recover and began to fade into history as a major thoroughfare into Yosemite Valley. 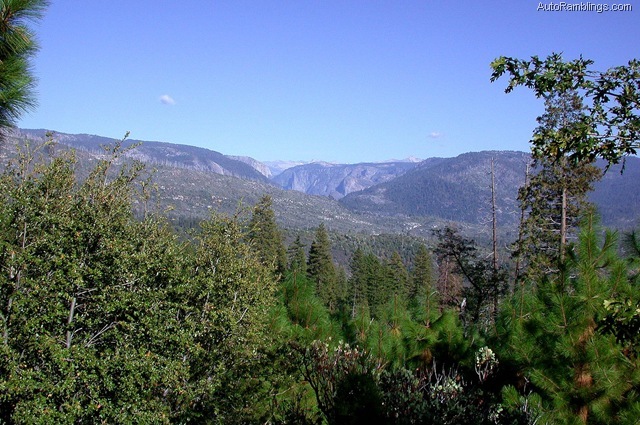 Both the Big Oak Flat Road as well as the El Portal route are now paved highways and are two of the main entry paths into Yosemite National Park. 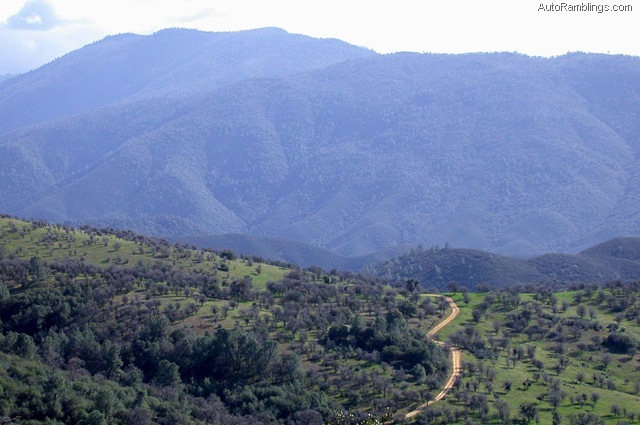 It must also be noted that from Crane Flat to the Valley floor, the Big Oak Flat Road does not follow the same path as it did in its early years. 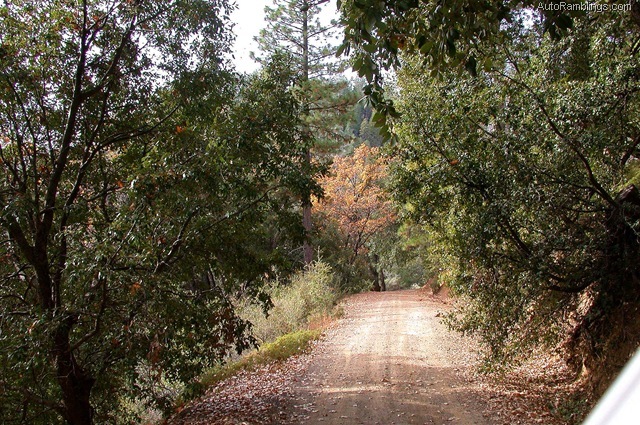 In 1940 a new section of the Big Oak Flat Road was constructed bypassing the old route through Gin Flat and Tamarack Flat. 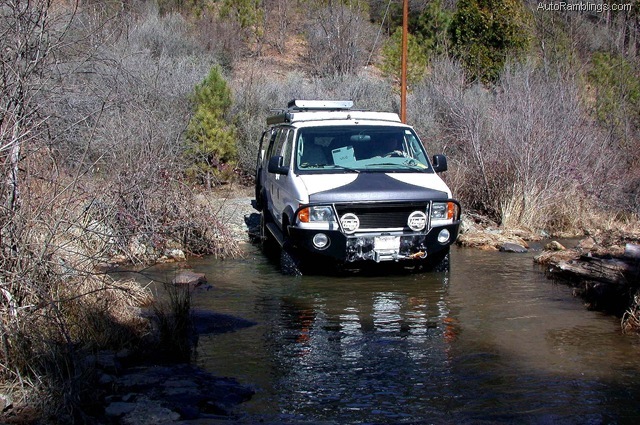 Fortunately, much of the original Old Coulterville Road still exists today as it did in the 1800’s making it a premium 4×4 vehicle trail that was once used by many stage coach drivers of days long past. It’s difficult to travel the true route as a few changes have been made over the years such as the segment that once lead from Hazel Green ranch into the current day Park and through the Merced Grove of giant Sequoia trees. This route into Yosemite have been gated off at the park boundary on both ends. The Park service has been ruthless in their policy of limiting off road vehicle travel within its boundaries all in the name of ecology, especially since the 1960’s. But the Coulterville Road has survived allowing individuals the privilege to actually see what trails were like around the turn of the 20th century. 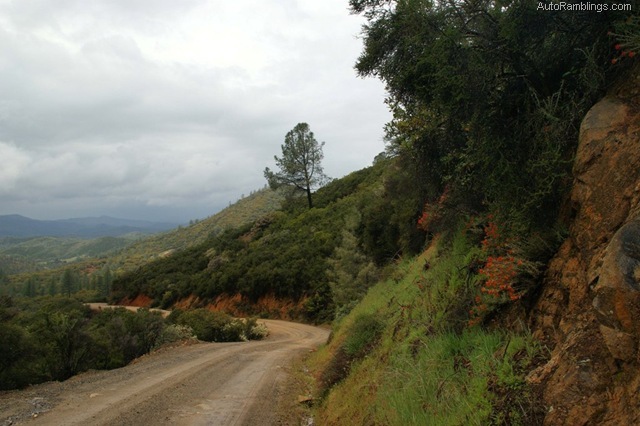 Other historic side trails include, Trumbull Peak, Pilot Peak, plus forest road 1S12 and Crocker Ridge, both of which drop into Hardin Flat and highway 120. 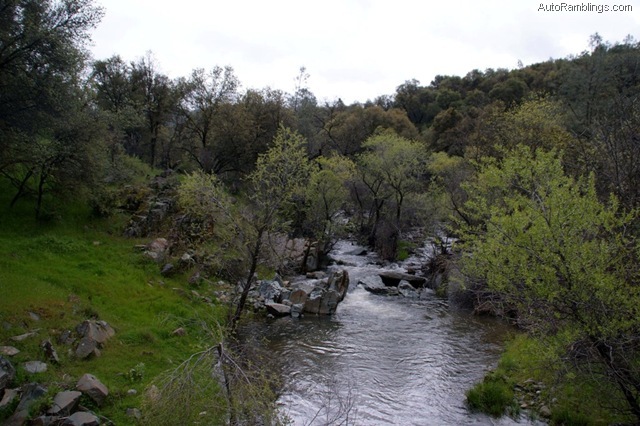 The Coulterville route also hooks up to Bull Creek which passes Anderson Flat and leads to Briceburg and the Merced River Canyon. (See Burma Grade and Merced River Canyon) . Modern day Coulterville has a restaurant called the Jeffery’s Hotel which offers good food and history as well. It dates back to 1851. Diesel and gas is available for a reasonable price up the 132 grade at Greeley Hill. 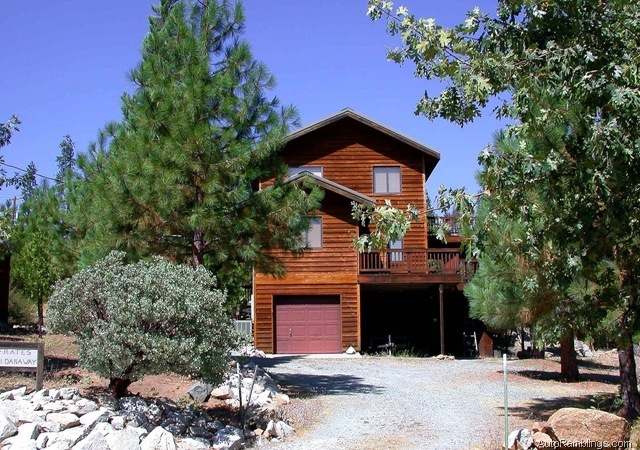 At present, Greely Hill also has a good sized grocery store that supplies most of the amenities needed for those traveling toward Yosemite. 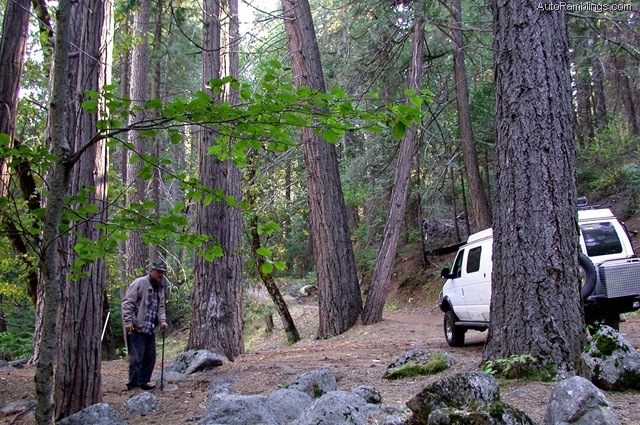 At the other end of the Old Coulterville Trail, 24 hour diesel and gasoline can be obtained from Crane Flat inside Yosemite Park. The Crane Flat station is open during most of season that the Coulterville trail accessible. Diesel and gas fuel is also available in El Portal at an elevated price compared to the other stations mentioned. Please note that this writing is several years old. 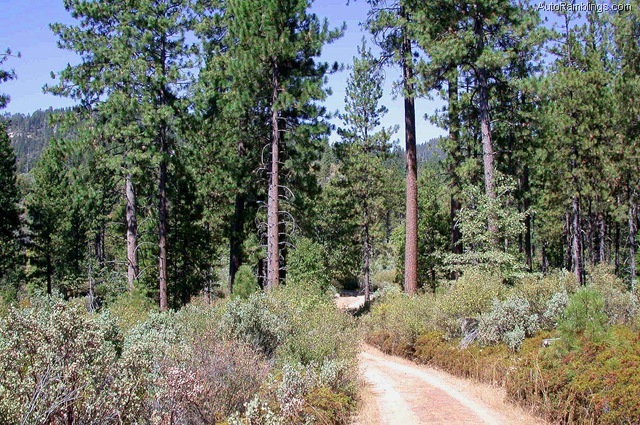 The trail condition should be available by contacting the Groveland Ranger Station. 24545 Highway 120, Buck Meadows Ca. The first part of our trek started within Yosemite National Park and was done during the September/October 2006 fall season. 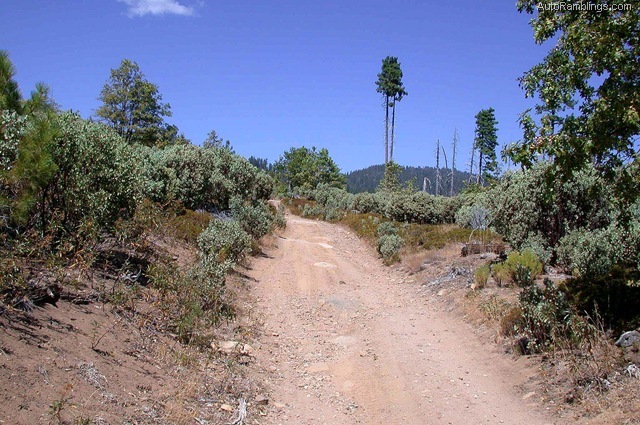 The Old Coulterville Road is closer to Tamarack Flat than the Dunderberg and Fresno Dome routes (see previous posts) which makes this local trail one of the best to take. Sometimes called the Old Yosemite Road, it’s one way into the park where you don’t have to pay entry fees. In fact, very few trails supply access into Yosemite without passing a kiosk and one day I see the park closing this road. You’re still supposed to pay entrance fees and will have to show proof of payment when leaving the park. As I’ve said before, anytime there are vista points looking down into lower valleys, I generally prefer to run these type routes from the higher elevations down into the lower regions. 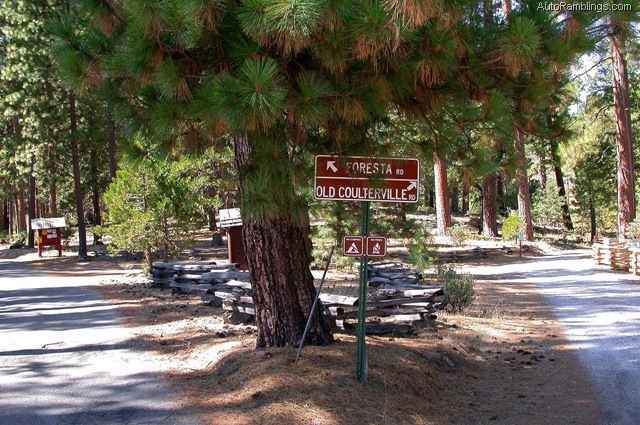 Even though vehicles traveling up hill have the right of way, we decided to start at “Foresta”, a community that has been allowed to homestead within the Yosemite Park boundary. 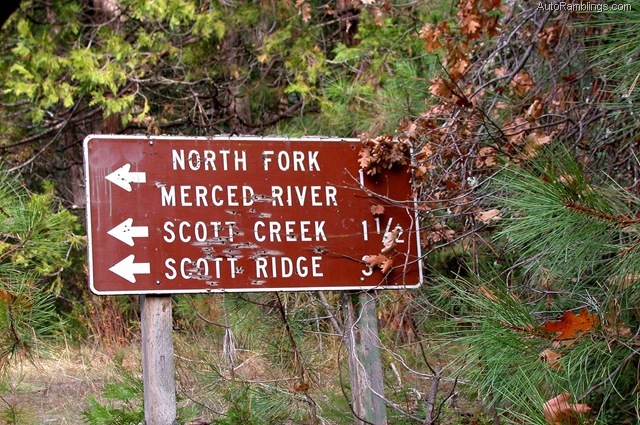 Foresta can be accessed from State Route 41 out of Fresno, State Route 140 out of Merced or off the Big Oak Flat road that runs from the Parks 120 entrance on the Groveland/ Coulterville side. 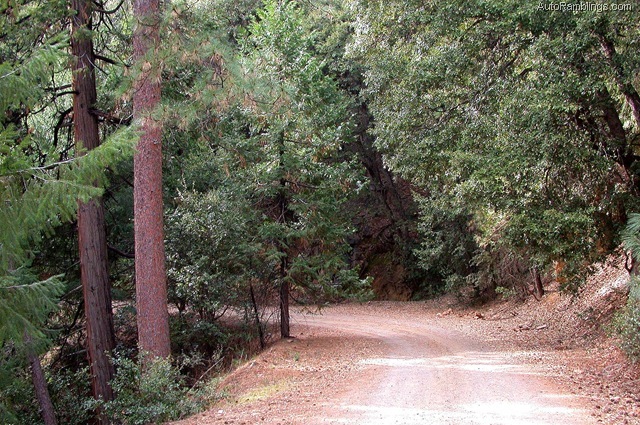 A paved road directly off Big Oak Flat leads to where the starting point of the Old Coulterville Road can be found within Foresta which sits at about a 4200 foot altitude. The original Coulterville Trail also passes the site of an appalling crime that happened within Foresta by Cary Stayner which I’d rather forget. Even though it’s not a pleasant read, what happened in and around the Park is chiseled into Yosemite’s history. Dropping into Foresta at one time was very scenic until fires ran through the region years ago. 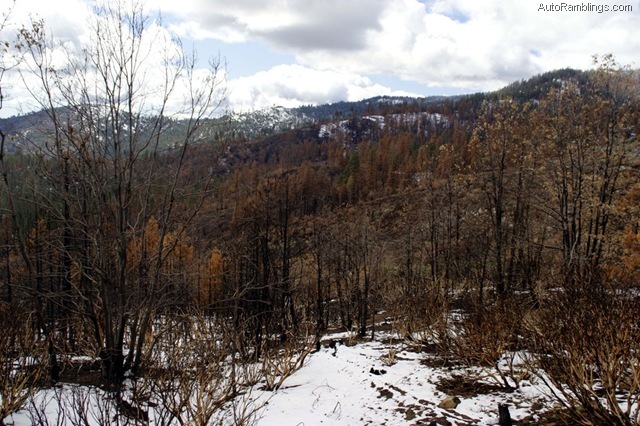 I had not revisited the area since that time, and in my case the only views of Foresta after the fire were from the Big Oak Flat road looking down into the community. 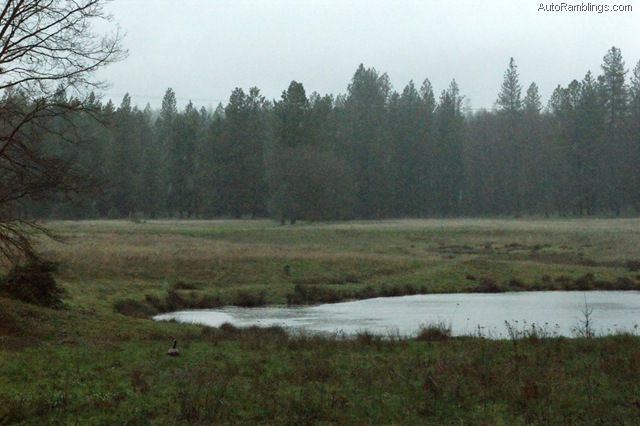 Big Meadow shown in this image behind the barn sits within Foresta. 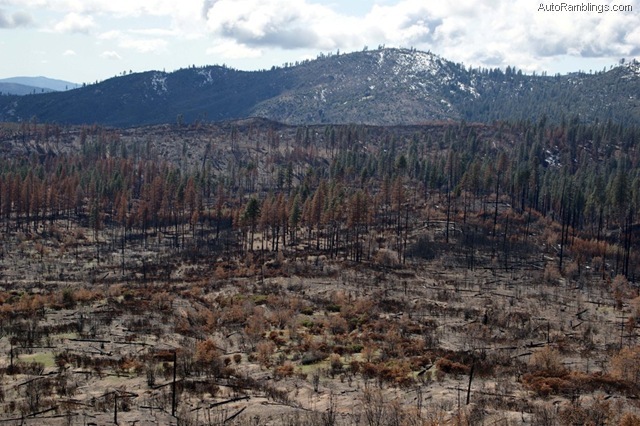 If you’ve been to Foresta before the fire, you’ll see the devastation immediately. 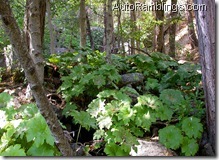 This area was in the midst of one of the thickest forests in the park. 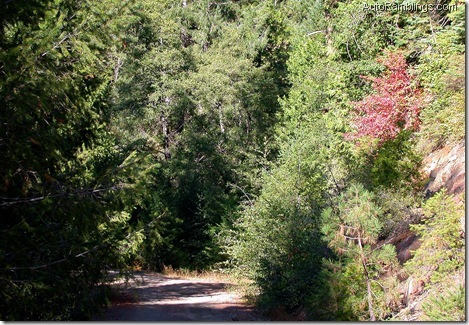 I had an idea what to expect as I usually looked down upon it from Big Oak Flat Road when passing by, but once I got down there I was stunned. Foresta will never be liked I knew it for the remainder of my lifetime. Jerry didn’t have much to say other than “Ah…., it’s destroyed”. Still some trees remain. It had rained during the week but because of how dusty this time of year can be, the wet weather was welcome. But I still worried that park service might have decided to close the gate at the start of the trail or at the Park’s boundary where it may be difficult to turn around. We looked over a creek bridge that I was concerned about due to the weight of my SMB. 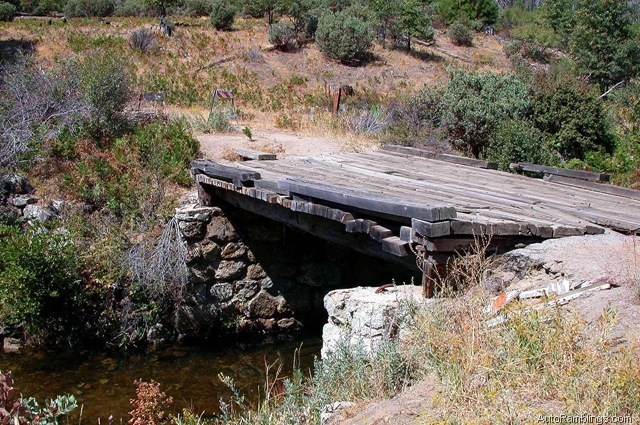 I’ve driven over this bridge several times between the 70’s and 90’s with a pickup, but the bridge back then was a couple of heavy timbers and some planks. Even with a lightweight vehicle I was a bit uptight while crossing it, so I was hoping to see a new bridge. When we got to the creek, I found the structure to be in shambles and although it looked like it had been modified since my last visit, this one had been laid to rest. Fortunately there was a way around it. 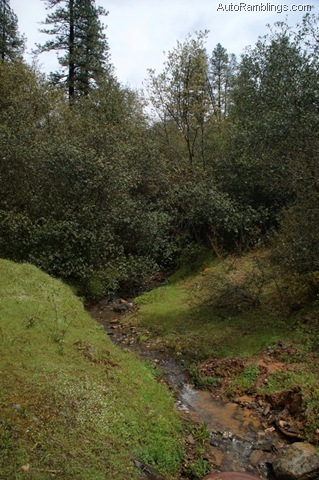 Some years back, the main road that cuts through the community was a through road that connected Foresta to the town of El Portal. Unfortunately with the past bad weather and lack of maintenance, the lower portion to El Portal has been closed to large vehicles for a few years now. 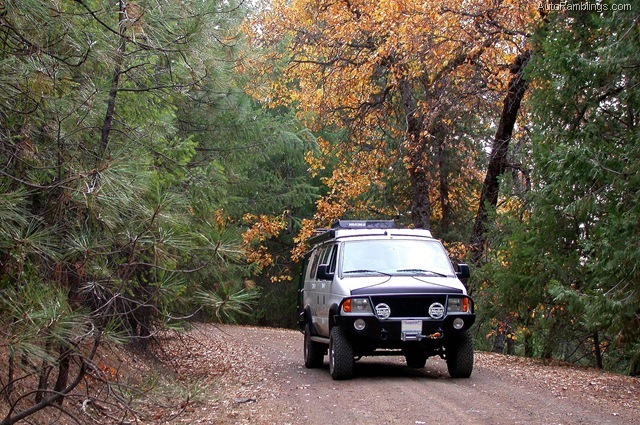 It’s too bad because it’s one of the most scenic trails in the area and I really miss being able to drive it. If you’re a mountain biker I strongly suggest you check this one out. 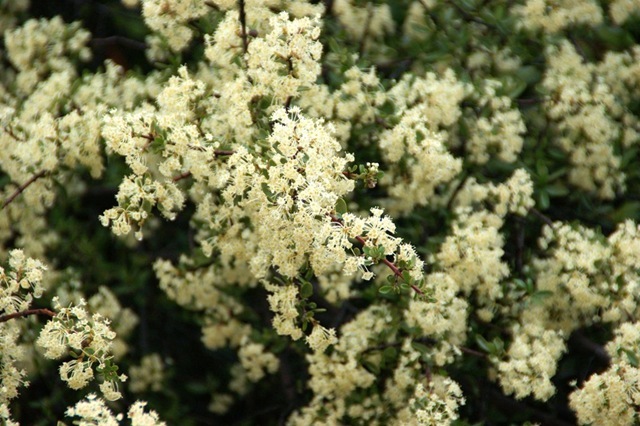 It crosses some nice waterfalls and during March through early May, the flower bloom can be fantastic depending on the rainy season. But do to budget cuts, the road is no longer maintained and the bridges have not been confirmed safe for vehicle travel. I do know those who have ran the trail from El Portal with ATV’s, but I’m not sure what regulations are in effect within the national park concerning OHV’s. 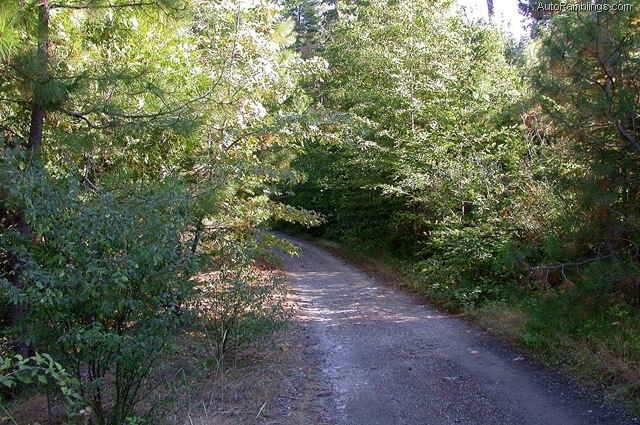 But back to the Old Coulterville Trail; off this main road within Foresta, several narrow gravel paths lead to the cabins located throughout the community. 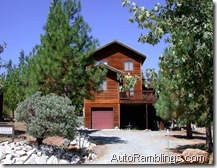 Some of the cabins have is a good view of the Valley. It’s one of these gravel lanes that will reunite you with the Coulterville Trail. On my 2006 journey the whole drive was nothing like I remembered and a bit confusing. Because the landscape had changed so dramatically I thought we were on a dead end road for awhile, but my GPS said we were on the correct route. 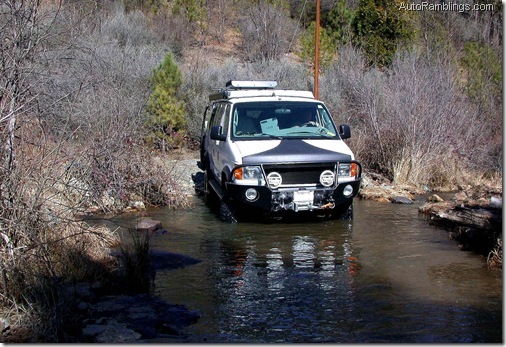 The problem is that even the GPS showed I was traveling over an area void of trails or roads. I just took the closest lane to the old route and drove until I met up with the original trail. After leaving the community, the road abruptly changed. Deep ruts required high clearance and there were a few spots where 4WD was a good idea. Due to the recent rains, we had to pass through several mud bogs and even though they didn’t pose any problems, I definitely would be hesitant to pass over this road if it was raining heavy. Because fire had destroyed most of the trees, my winch would be worthless for the most part at this early stage of the road. Obviously this can change from year to year. As we progressed, I finally decided it would be better to continue on even though I didn’t know what to expect. Trees soon returned and the area started to look more like a forest. This section is narrow and somewhat brushy which can scratch the sides of wider vehicles. The narrow sections may force someone to yield the right of way when dealing with on coming vehicles and being some of these portions are lengthy, once you’re committed, that’s it. Being uphill vehicles have the right of way, you might want to run it in the opposite direction and start at Bull Creek Road on the Coulterville side. During wet weather, this is a road where you want to lock in the hubs so they are ready when needed. Soon we would reach one of the best stops along the entire route. 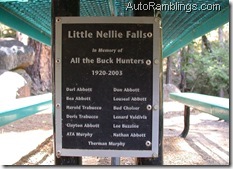 We dropped into the Little Nellie Falls area which is a spot I have camped at several times over the years. This is one great boon dock spot. 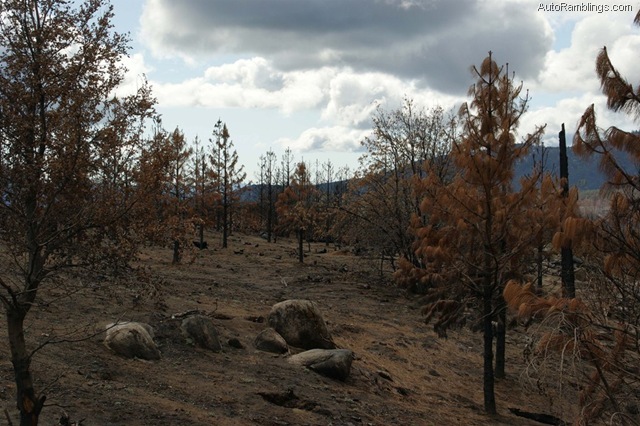 The burnt tree line was behind us and I was very happy to see this area avoided the fire. The stream running over the falls usually runs year round which makes it one of the most scenic stops on the entire route. The little camp spot is covered with ferns, moss, and greenery everywhere There is now a table donated to a group of hunters that have used the area since 1920. I saw a “no fire” sign that I didn’t understand. It kind of upset me because I had made many fires here in my earlier years. While camping here I had always wondered about the stages and freighters that ran on this road in the 1800’s. 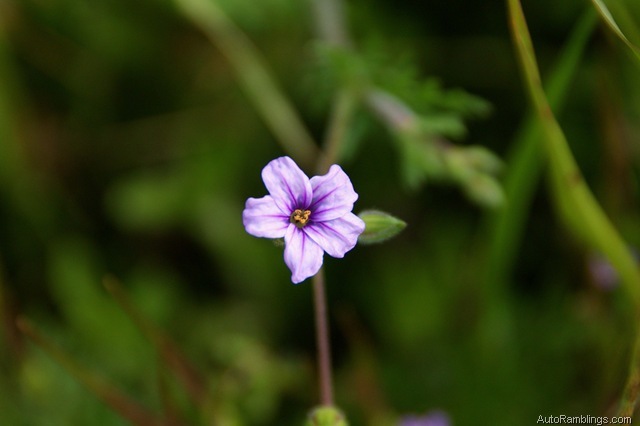 During the 1980’s, Jerry had found an old Whisky bottle up the creek bed. I surmised that in the past this was a quick stop for the passengers and/or freighters to relieve themselves and water up the team. After a long hot ride, I might be compelled to crack open a bottle too; well just to get the dust out of my throat, right? After Little Nellie, the road started to mellow a bit, but one spot was tight. It was a washout on a steep ledge that was very narrow, but I made it with no problem. 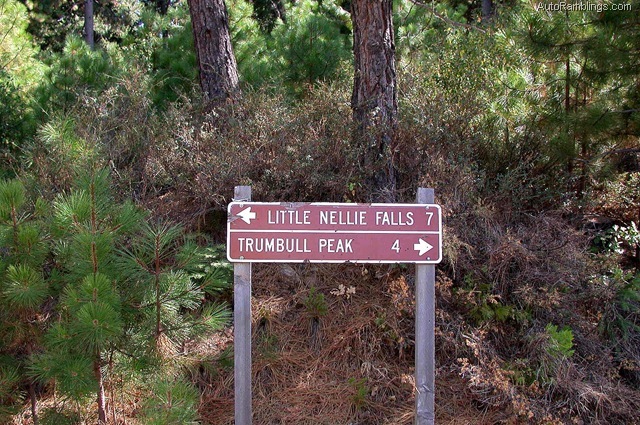 Much of the road starts as a mild uphill climb once you pass Little Nellie. After that, the road was kind of rough but easily passable using 2WD. Soon we came to a vista point that looks into Yosemite Valley called Buena Vista which offers a glimpse of the top of El Capitan. 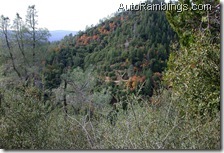 The scenery also changed to more pines, and the trees with fall colors were very vivid. The road travels along sections considered a shelf route but also deviates into heavy forested regions from time to time. 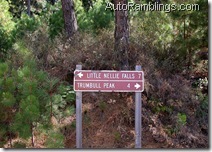 Soon the trail comes to a spot called Twin Bridges. 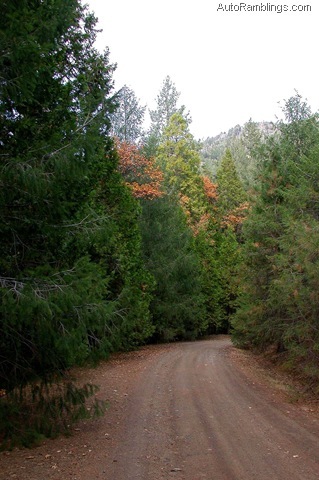 The original Coulterville road went north to the Merced grove of giant sequoia trees. This road is gated and has been closed for years. We stayed on the road toward Ned Gulch and soon it crosses another great route out of the Backcountry Adventures book, the Trumbull Peak trail (High Sierra # 30) that takes you to a old fire lookout. (Trumbull Peak Trail is very narrow and on another occasion caused just about the most damage to my vehicle to date). We skipped it and continued on toward a convergence of roads sometimes called five Corners. A boulder like this can ruin your day. Luckily I was able to drive around it without having to winch it out of the way. 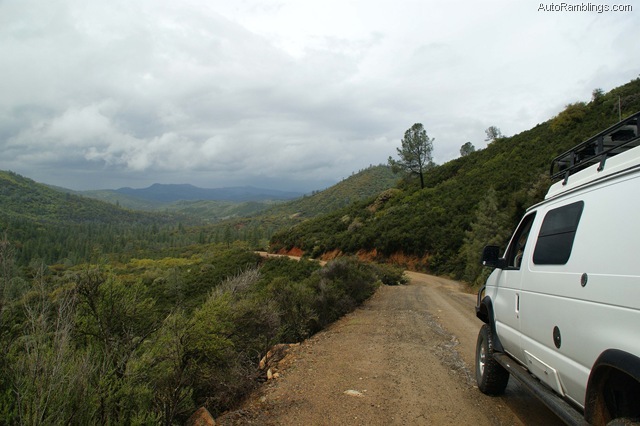 On the way to five Corners you travel along a ridge that overlooks the Anderson Valley and Domingo Flat areas. 2S01 is the route to take if we were wishing to finish The Old Coulterville Trail (HS #28), but once again due to time restraints, we opted for the short path back to camp. From here there are several other interesting tours to take. One is another Backcountry Adventures route (High Sierra #29) the Crocker Ridge trail. Passing through five corners is a partially paved road FR-20 which crosses the Old Coulterville Trail. 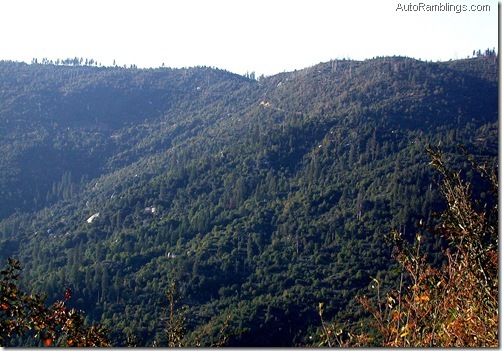 It runs from Deer Flat to Harden Flat staying below the Crocker Ridge Trail. Designated 2S02 and 2S30, this road was barricaded off probably due to water erosion. The Crocker Ridge Route required too much time to use as a way back to Tamarack Flat where our nightly campfire awaited us, so we decided to take a road toward Hardin Flat via 1S12. 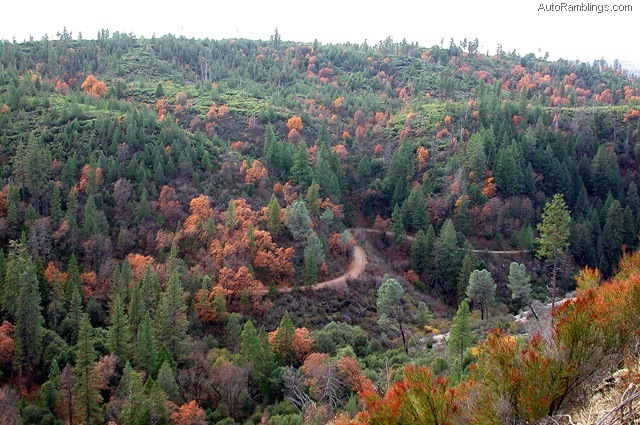 This extremely scenic trail is an autumn winner and connects to Golden Arrow road, a spur off HWY120. 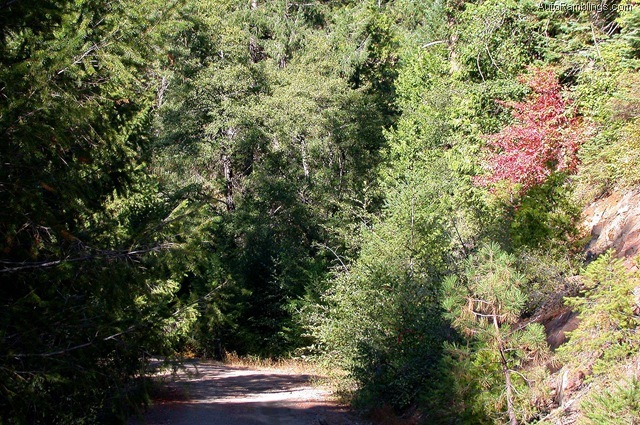 The area offers thicker tree cover and is quite a bit greener than the surrounding forest along the Coulterville route. 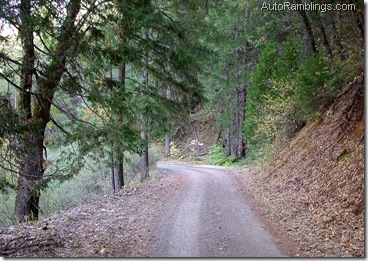 The road was an old rail road grade and snakes along a ridge as it drops into a lower elevation. There are only a few spots directly off the road to camp, but we did see a good 4×4 trail leading down into a gulch into the Big Basin area. I want to run this route sometime as it’s not in the Backcountry Adventures book. It looked like you might be able to camp along the creek itself. Soon we ended up at HWY 120. From here we took the highway and headed back to camp and a comfortable fire. It was a good ride, one that I had long forgotten about. Basically that ended the trips in and around Yosemite I took with Jerry that year. We really put in the miles while exploring new areas and revisiting others. I would visit the lower portion of the Coulterville Trail later that year; a couple of times by myself and a few more with my good friend Don. On a spring 2007 trip with Don, we would drive past Bower Cave and take a route through the hills down to highway 49 which I’ll touch on below. I’m sure I will revisit the same area in the future and add some more pictures to this post. 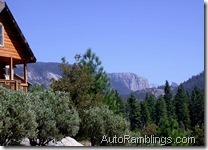 On the 18th and 19th of November 2006, I returned to finish the Yosemite Coulterville road. I stayed at Hodgdon Meadow, a campground I usually avoid if occupied. At this time of year the camp is more or less vacant. 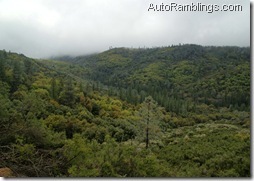 I left out of the camp on Sunday and headed toward five corners via 1S12 just off along HWY 120. The forest road 1S12 is a nice drive, and even though I could have taken the Crocker Ridge Route, I normally take this way to save time. The Old Yosemite Coulterville Road from five corners to Highway 132 offers a different kind of look (IMO) than the upper part because the altitude is lower but there are still some great views. This is still a nice path to explore the old stage coach and freight trail that the old timers had to pass over. 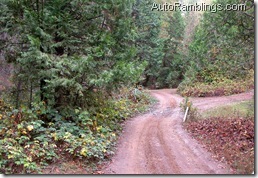 Besides, who wants to travel down a paved road when there’s a perfectly good trail to take? I finally reunited with the Old Coulterville Trail at five corners as it starts toward Pilot Peak. Along this section the scenery improves as you follow along pilot ridge. In spots you can look down into Anderson or Deer Flat that I referred to earlier. There’s a trail to a fire lookout nearby but I’ve never seen the gate open. Maybe there is a back trail to the lookout. Again, the Coulterville Trail can be narrow in spots, but I never had any trouble with brush scraping the sides of the van on this section of the route. Here the road winds down along ridges and passes over crests that provide views of a few low lying canyons and what not. Even though there are many trees here such as maple, birch, and aspens, most of the falls colors fade out this late in the season. 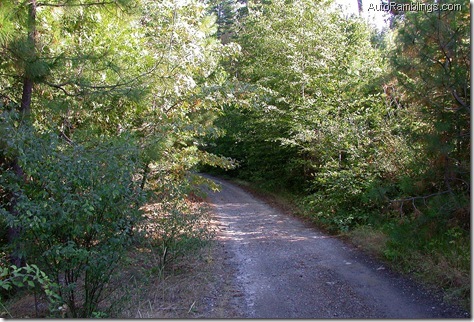 I did enjoy the windy path of the road that passed through pine and oak trees which were quite green and dense in areas. I encountered one spot that the old teamsters with their mule teams must have hated. The trail turned to red clay and deep ruts might make this spot somewhat difficult in foul weather. 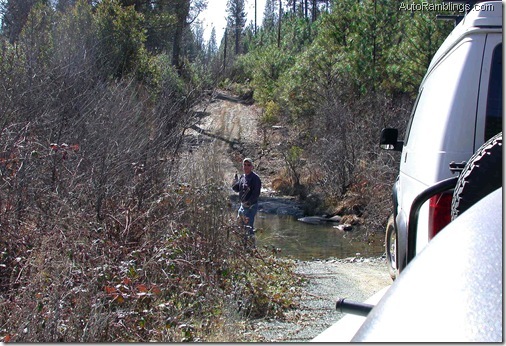 This particular trip posed no real problems for my SMB or my trailer (a 4X4 cargo trailer), but a low clearance vehicle might have trouble negotiating this section. 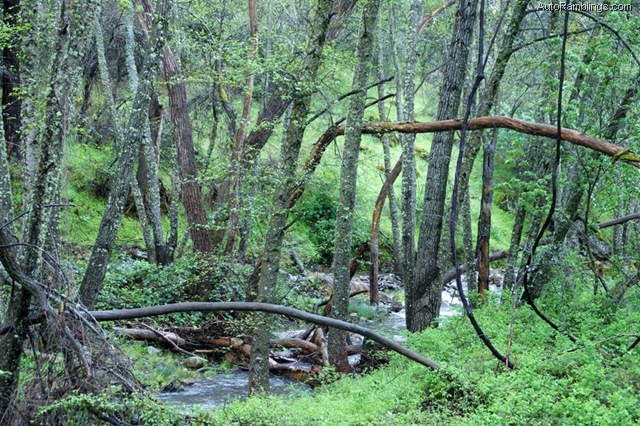 Soon you reach a split in the trail where the Coulterville road crosses a branch stream of the north fork of the Merced River. 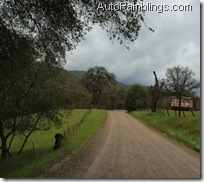 Toward the end, you pass by the McCauley ranch, that the Backcountry Adventures book claims is an old stage stop. 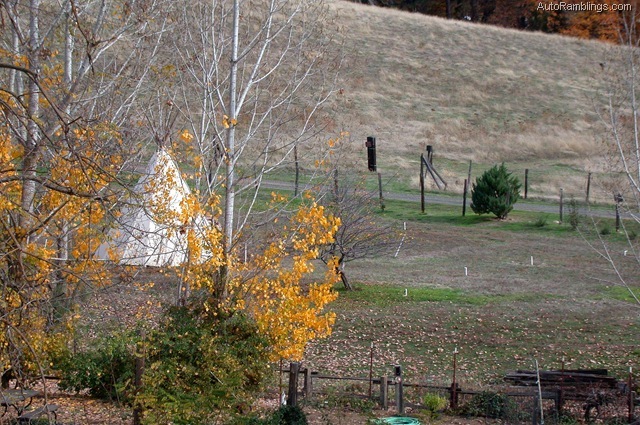 It’s a private ranch today but they have a teepee erected which is visible from the road that adds some spice to the route. The last section once again gives some spectacular views as the road winds down towards the end of the route. 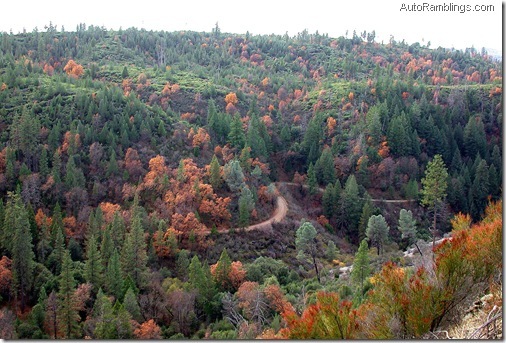 Soon you end up on Bull Creek road, another drive to a great route (See Burma Grade) from the Backcountry Adventures book. The last spot to visit would be Bowers cave but I passed it by and headed northwest toward home to end the weekend. Bowers cave is a spot you can’t drive to and might be closed to the public. 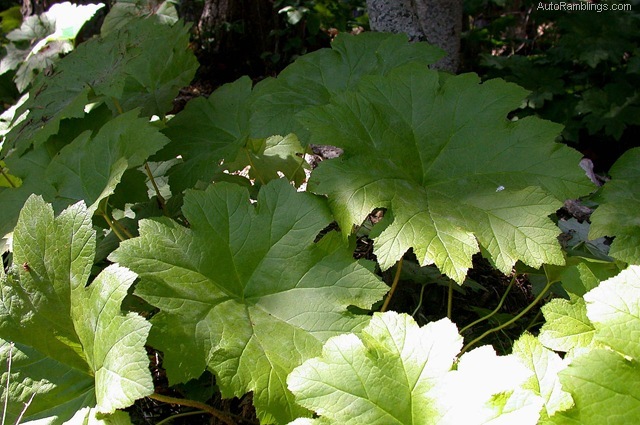 You can contact the Groveland ranger station at Buck Meadows for information. The last time I was at Bowers cave it was choked with poison oak. I would love to be able to enter the cave to explore it. 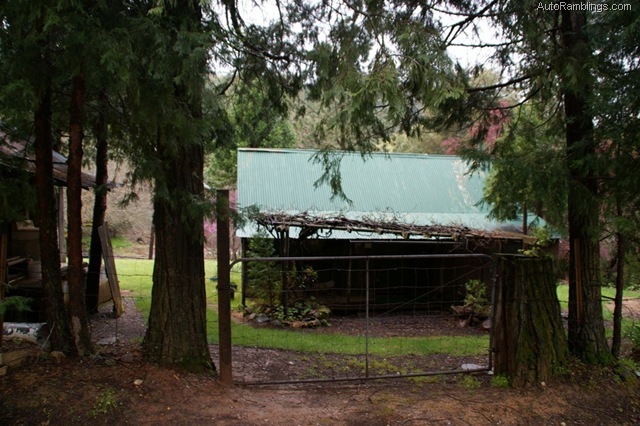 Here is an excellent links describing Bower cave. The Old Coulterville Trail ends up on Bull Creek Road (AKA Greely Hill Rd). 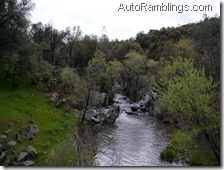 From there you can head toward Highway 132 or travel to several different areas including Anderson Flat, Deer Flat, or follow Bull Creek Road down into the Merced River Canyon (See the Burma Grade post). But my favorite way home is to take Dog Town Road to Coulterville. I wouldn’t say this is a part of the Old Coulterville Road, but it is and was a major path to Coulterville itself. 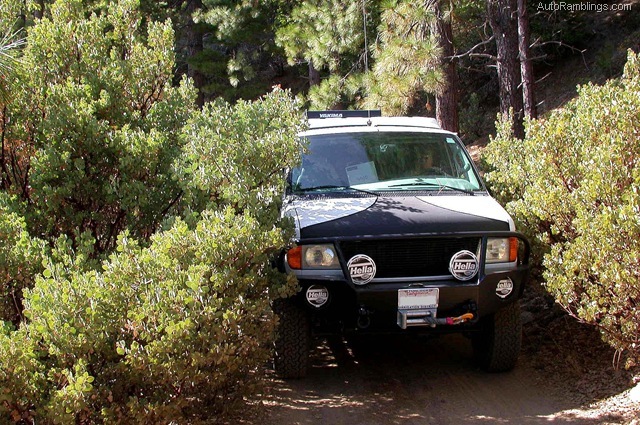 It’s also another way to avoid the heavily use paved roads in the area. 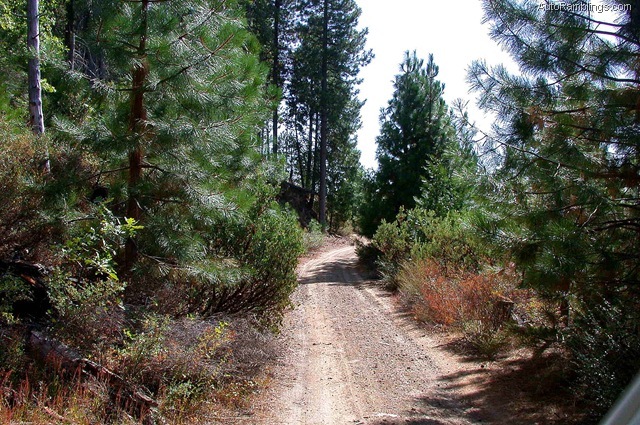 Although sections of Dog Town are paved, the first sections are very similar to the Old Coulterville Trail. 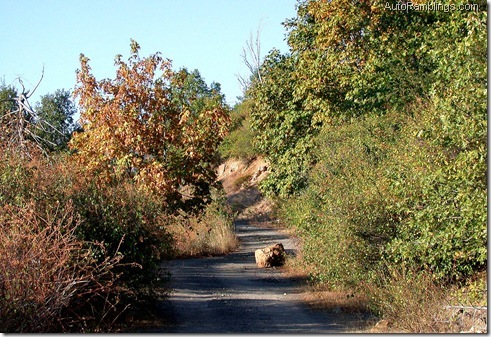 In fact Dog Town may be impassable when the Coulterville trail is wide open. 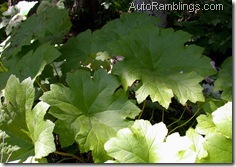 Some of this is because of the two streams that must be forded along the way. Usually these streams are not much to contend with, but certain times of the year (generally during the spring run off) flooding can pose a problem. 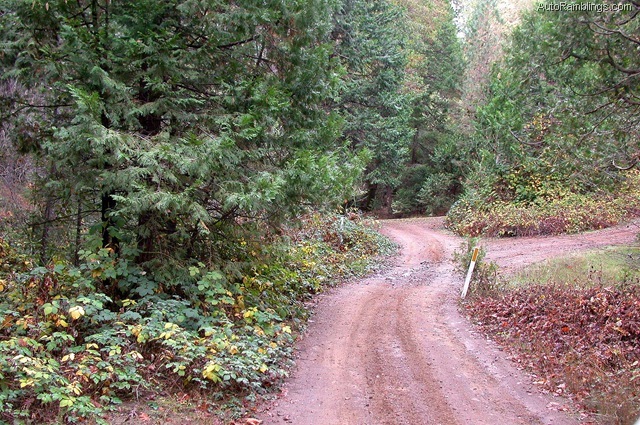 After crossing the streams, the trail becomes a paved road which travels through the community of Greely Hill and passes several homes along the way. 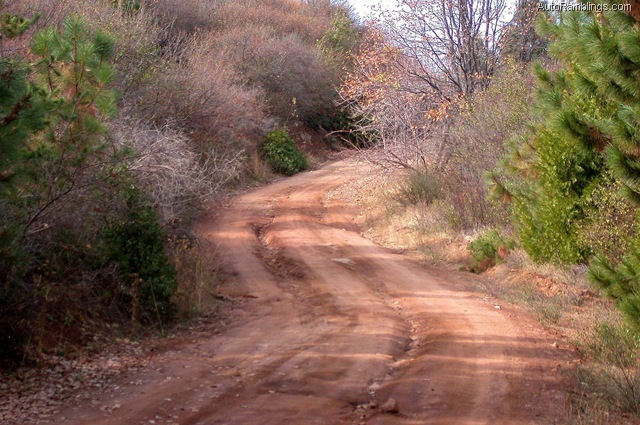 Eventually the road returns to dirt as it enters areas more void of homes. Soon the trail comes to a split where you must make a decision. Dog Town Road continues to Coulterville for a short distance on a ridgeline and is fairly impressive even throughout the summer season. 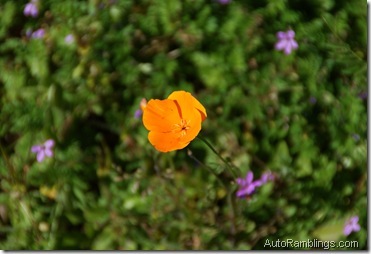 During springtime the flowers are out along Dog Town. 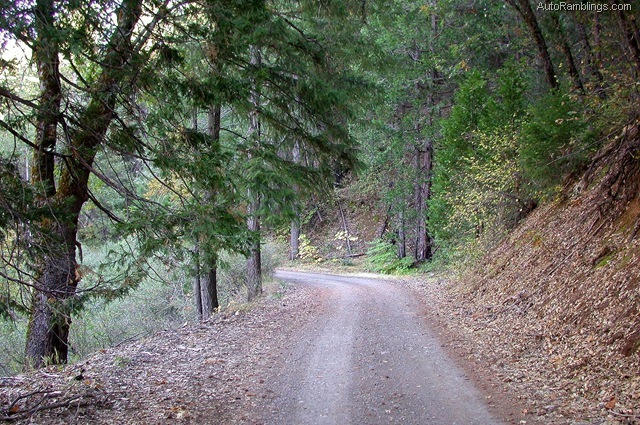 As the road winds down in altitude, the terrain becomes thicker and follows along Maxwell Creek before entering into Coulterville. 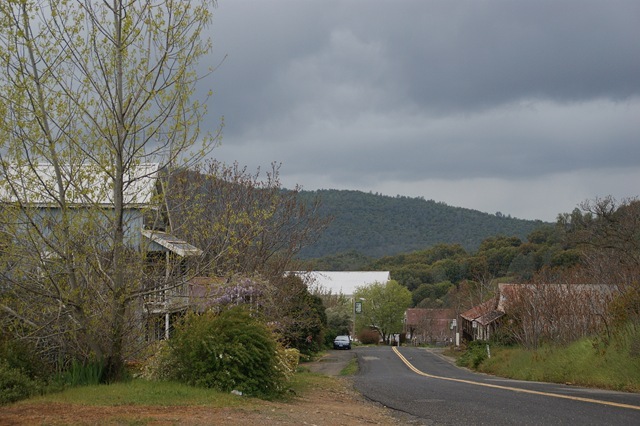 As you get closer to town, the road passes a few more homes. After crossing the last bridge, it’s a short hop into town. Dog Town Road is a nice alternative to flying down the highway but there is a different way to reach Highway 49. Schilling Road to Highway 49. 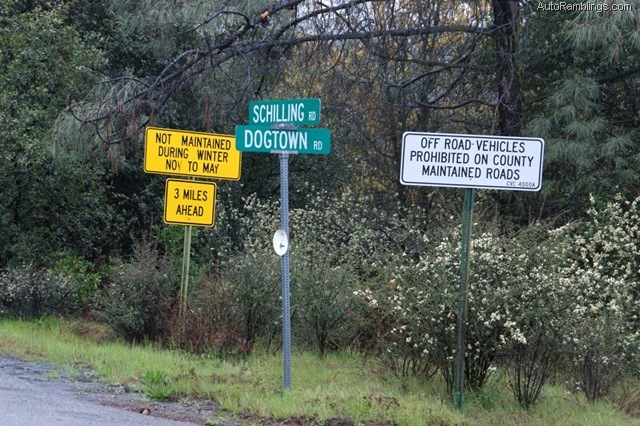 Turning left off Dog Town on to Schilling Road is a rewarding drive during early springtime. This road requires travelers to open and close gates that separate private property. 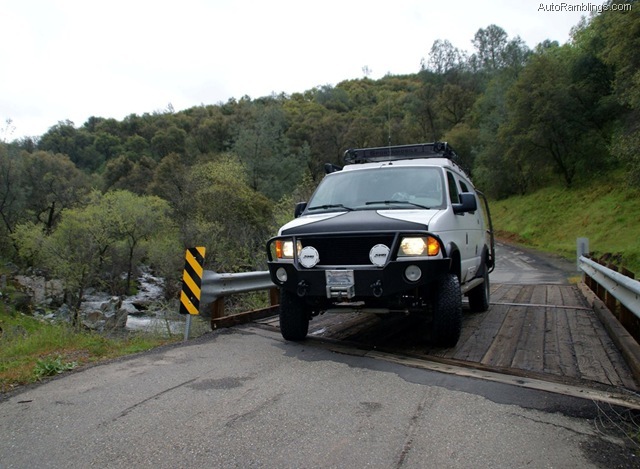 Although it seems like you’re trespassing, the road is a county thoroughfare and is open to the public. 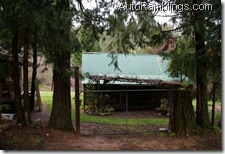 Just respect the ranchers and keep the gates in the same position as you found them. 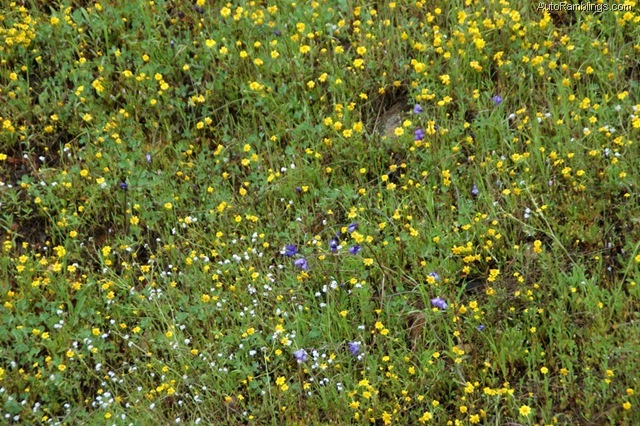 During spring when the grasses are green the views are spectacular. Take care around any cattle you might encounter as you’re traveling over free range. 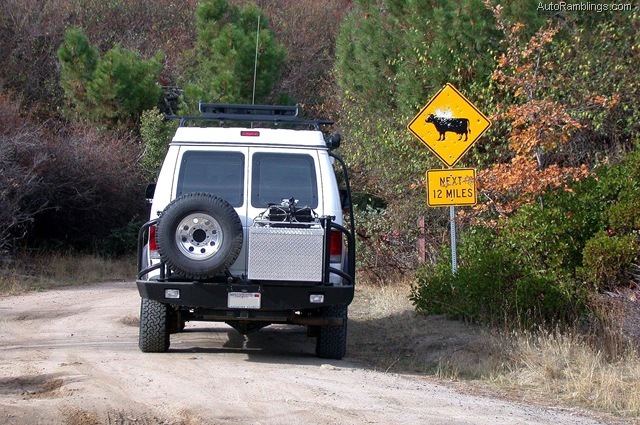 Bulls have been known to charge people and even ram vehicles. The road ends up on state highway 49. From here you can go right toward Coulterville or left to Mariposa. I prefer this route but avoid it during wet weather. I would recommend the old Coulterville route and joining roads to anybody that has 4WD. 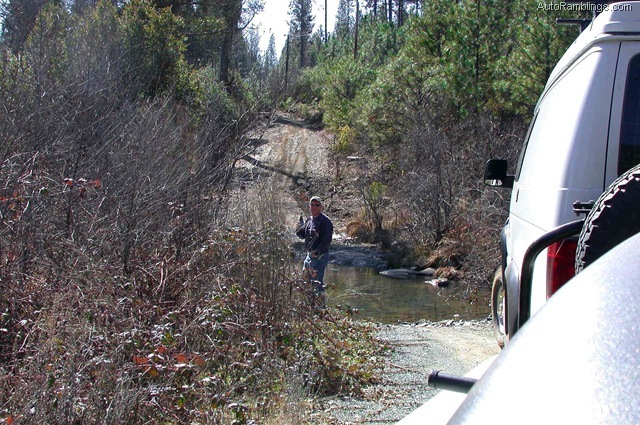 Since the road has changed a bit since the last time I ran it, you might want to do some research before setting out on your journey, especially during the spring opening or using a 2WD vehicle. 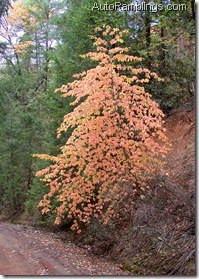 On a side note; in 2006 there was a contractor that had been hired to rip out the Manzanita along much of the route. They were using a piece of equipment that worked like a giant weed eater and it made a mess. I was a little concerned about the debris puncturing a tire. It might be wise to avoid this with street tires or tires that are low on tread. Thankfully it doesn’t look like a yearly event but they might tackle different section each year or when needed, so be prepared. 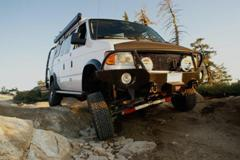 The Forest Service should have information about this and other trail conditions. Overall, the Coulterville Trail is a great route to explore. 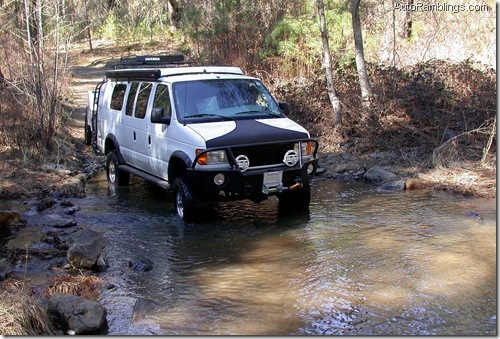 It’s a scenic drive with just enough off roading to make it interesting. The historical aspect of the trail also adds to the adventure. The upper region of the trail can be extremely colorful during October, plus the lower foothills look like something right out of the old west. 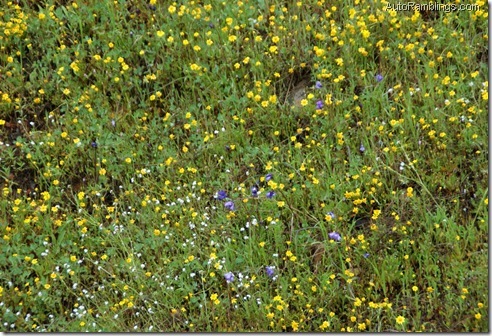 But my favorite time to visit is in springtime when the foothills are green from the recent rains and the bloom is fully active. Nevertheless, any time I travel the route, I always wonder about what it must have been like for the visitors who traveled to Yosemite during the 1800’s. It must have been an exciting trip but also one hell of a ride. 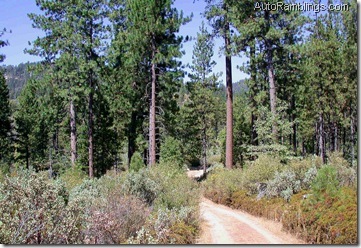 Many photographs were taken from the publication “Big Oak Flat Road To Yosemite” and “In the Heart of the Sierras”. Digitized by Dan Anderson, November 2005, from a personal copy. These files may be used for any non-commercial purpose, provided this notice is left intact. Big Meadow Fire August 27th 2009. 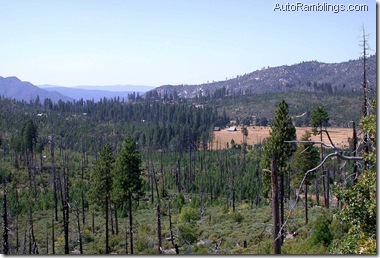 In 2009 while off roading in the Fresno Dome area, I noticed that a fire had developed in the Yosemite National Park. The fire once again devastated the Foresta area and beyond. You can read about it here. I still don’t know the outcome of the damage other than what I surveyed in 2010 around Foresta. There is a possibility that the Coulterville Trail is closed due to the fire. 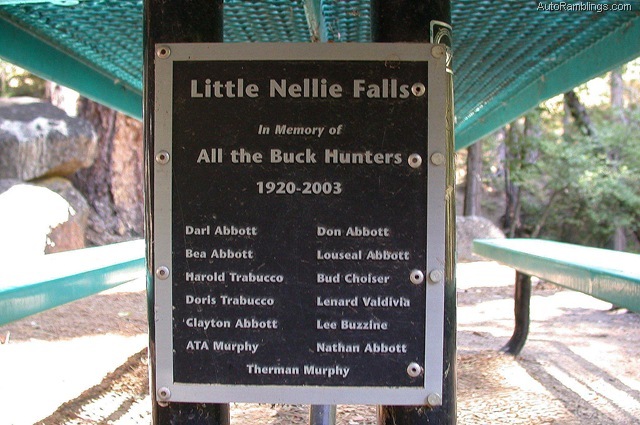 I hope the Big Meadow fire did not overreach the 1990 A-Rock fire that just missed Little Nellie Falls outside of Foresta. I also see that the fire encroached on Tamarack Flat campground. Great, well-written narrative and excellent photos! Can you tell me what year the Coulterville Rd. was closed/gated through Merced Grove? I’d be most azppreciative. 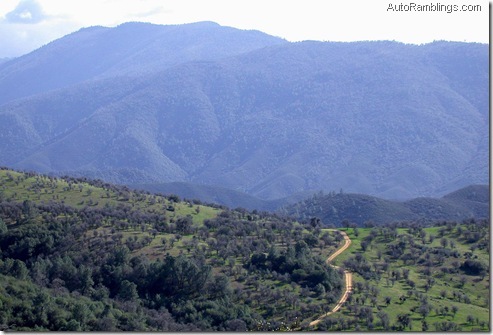 One of my hiking goals this year to hike from Merced Grove to Foresta. Getting information from Yosemite National Park is difficult. 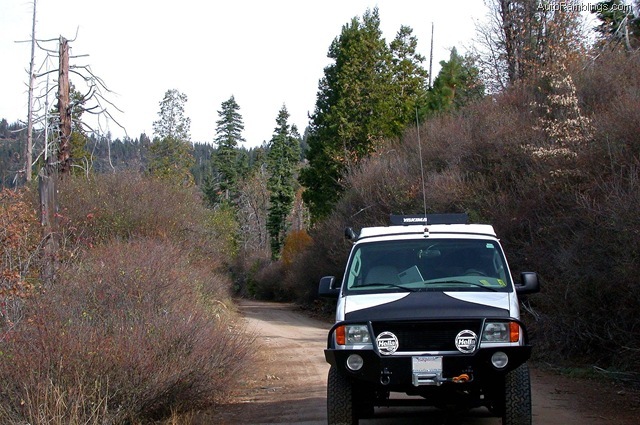 For trail conditions you might try to contact the Groveland ranger station I showed links to. The walk from highway 120 parking lot entrance to the Merced Grove is an easy walk to the trees…from there I’m not sure of. I have snow shoed into the Merced Grove but never took the trek to the Old Coulterville Road. My thoughts are that the road (now probably a foot trail) still exists and leads to Foresta. If you take the original trail to Coulterville, just be aware that “Hazel Green” is private land. Although the trail is open to the public, I got some strange looks from the owners. But if you ask about the history like I did, the residents were very accommodating. YVMV! Good luck on your journey.